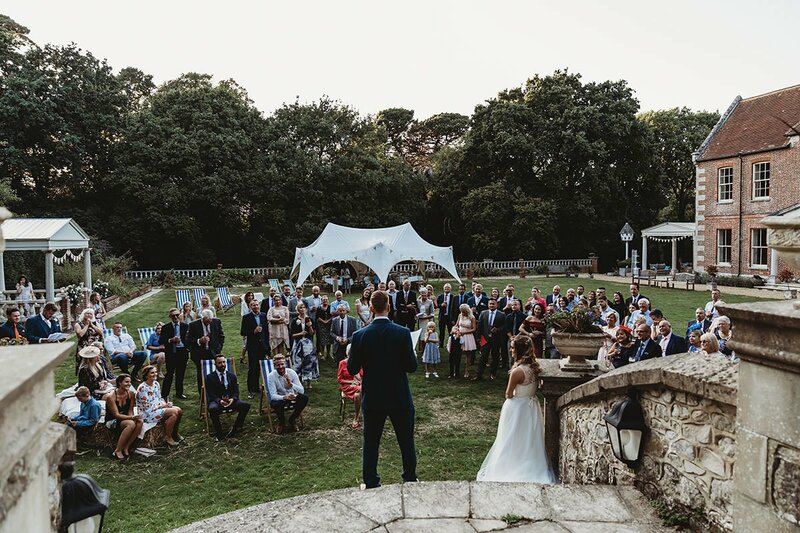 The stunning summer Isle of Wight Wedding of Natasha and Rhys at the beautiful Landguard Manor house in Shanklin on the Isle of Wight. 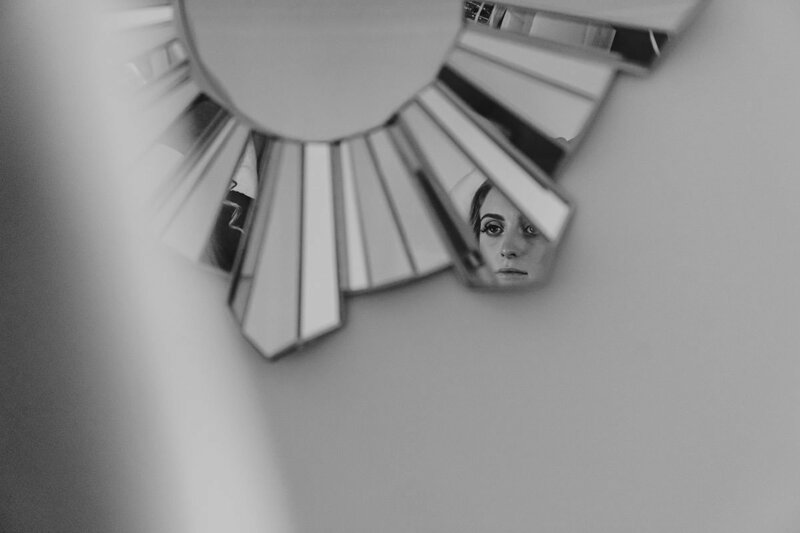 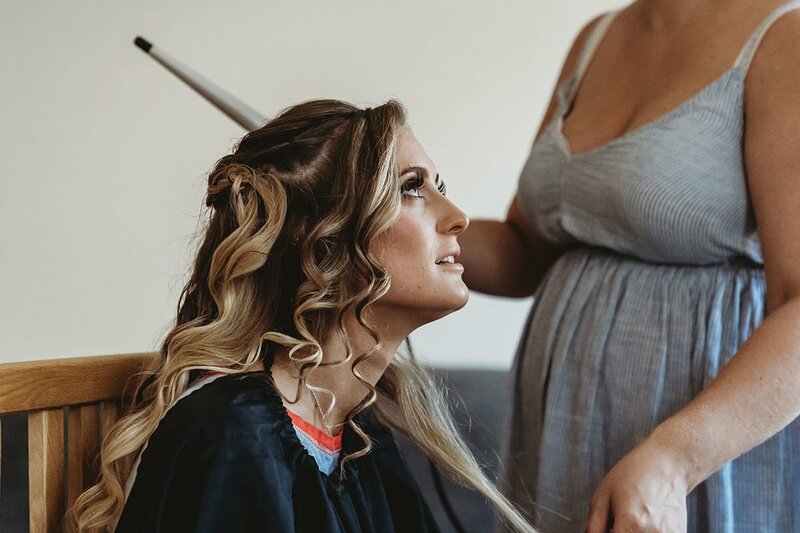 We started the bright, summer September day with Natasha and her bridal party. 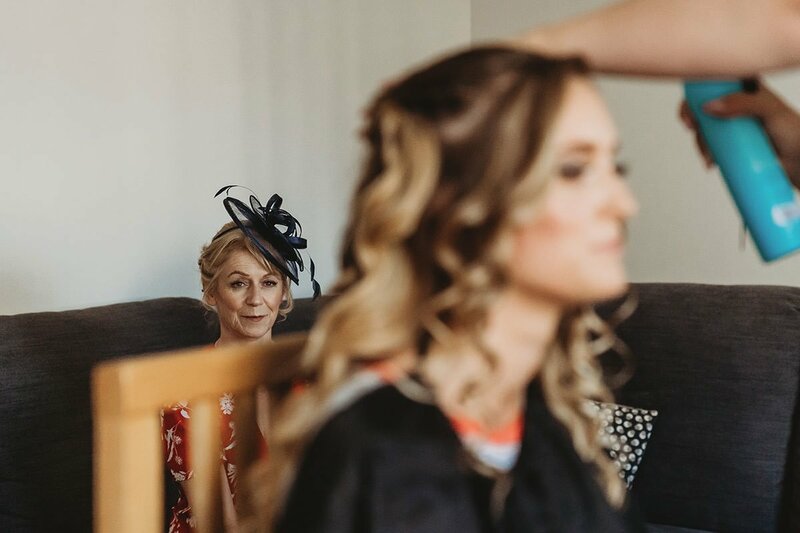 It was a lovely quiet preparation with Natasha, her sister, who had travelled all the way over from Canada and her mum. 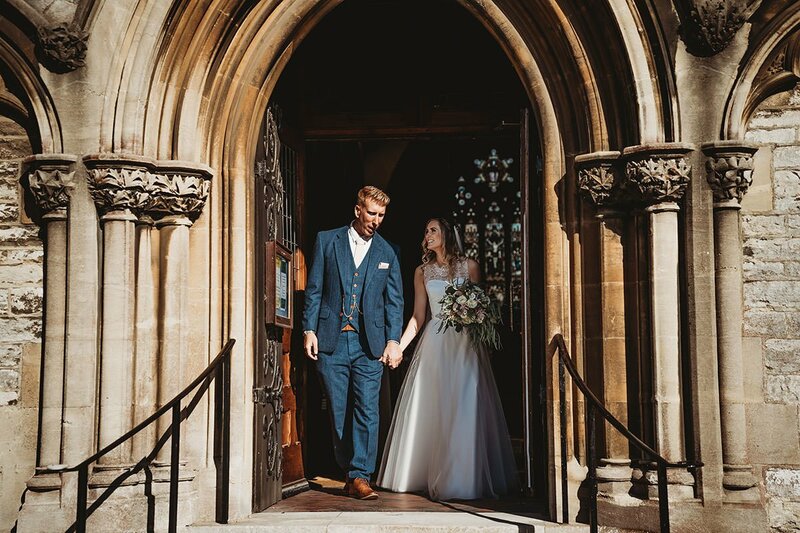 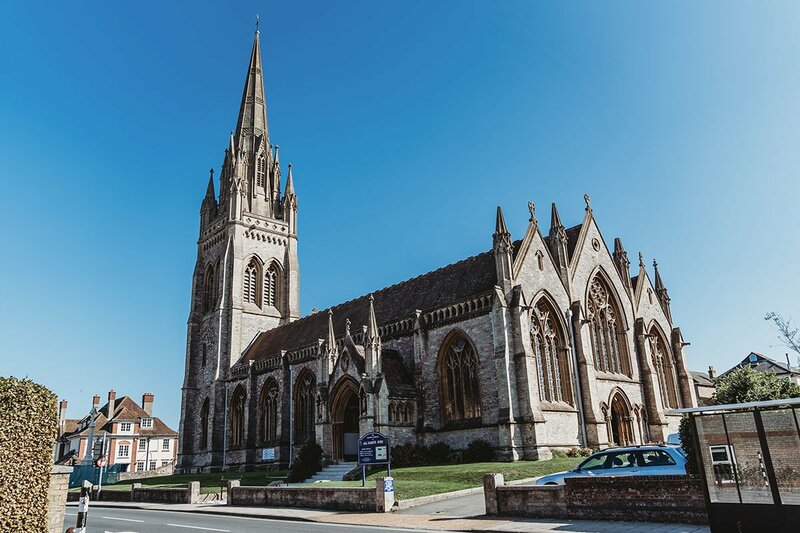 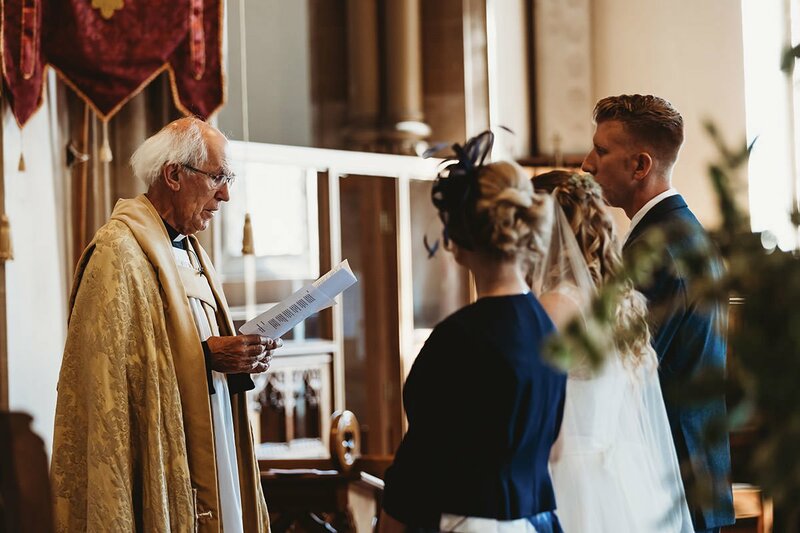 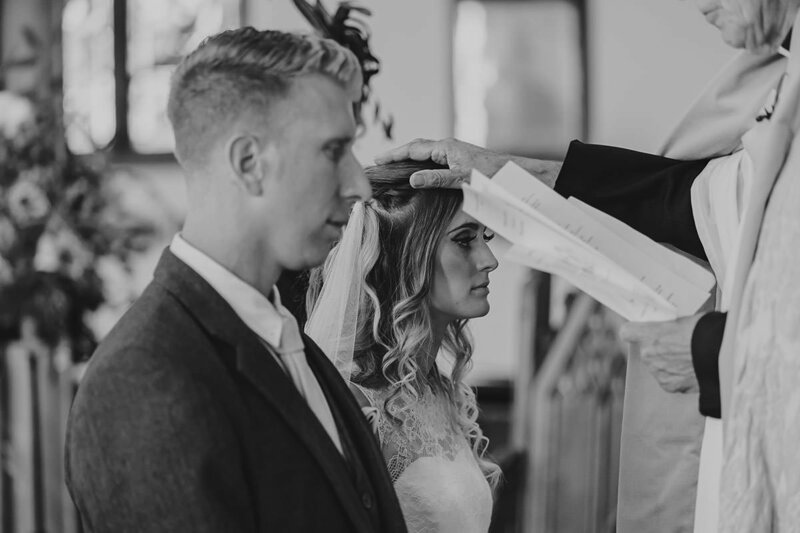 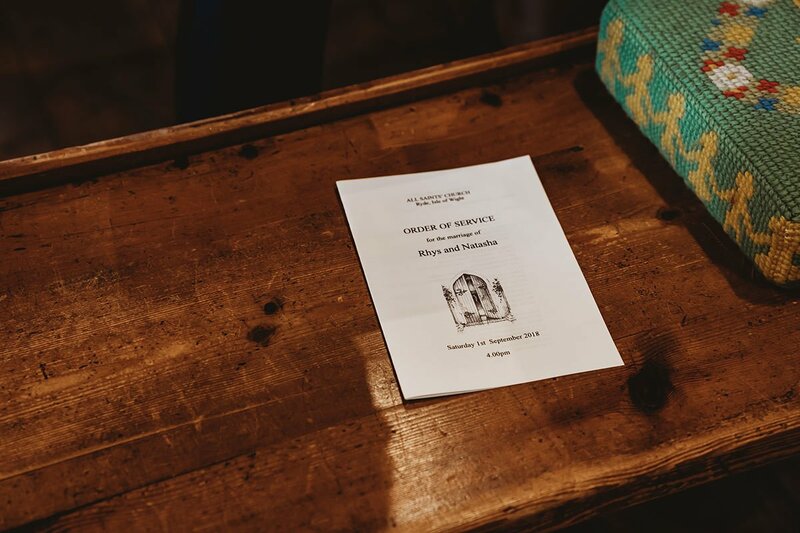 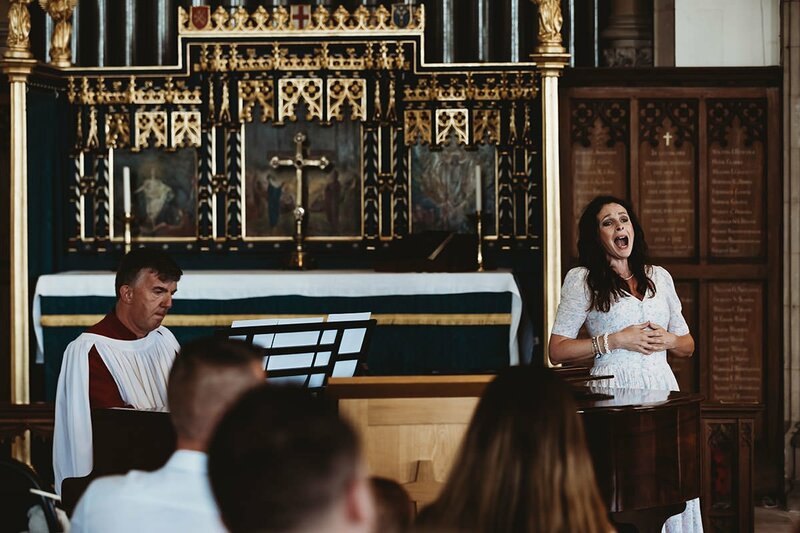 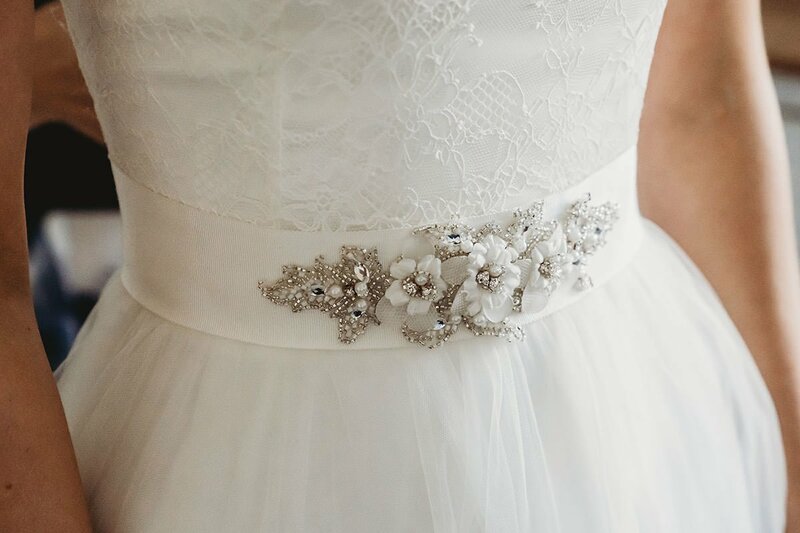 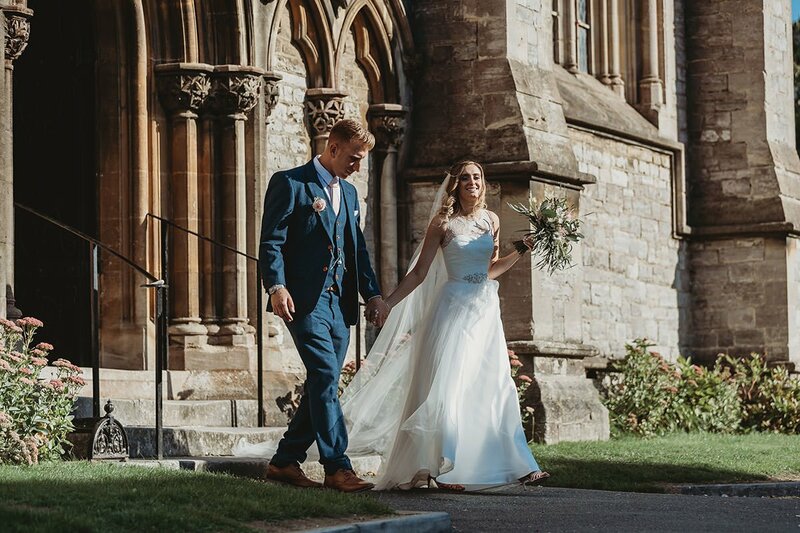 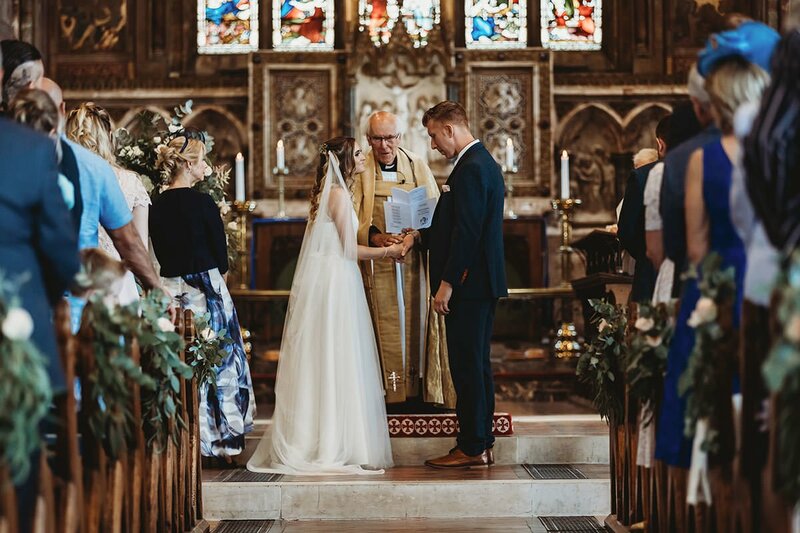 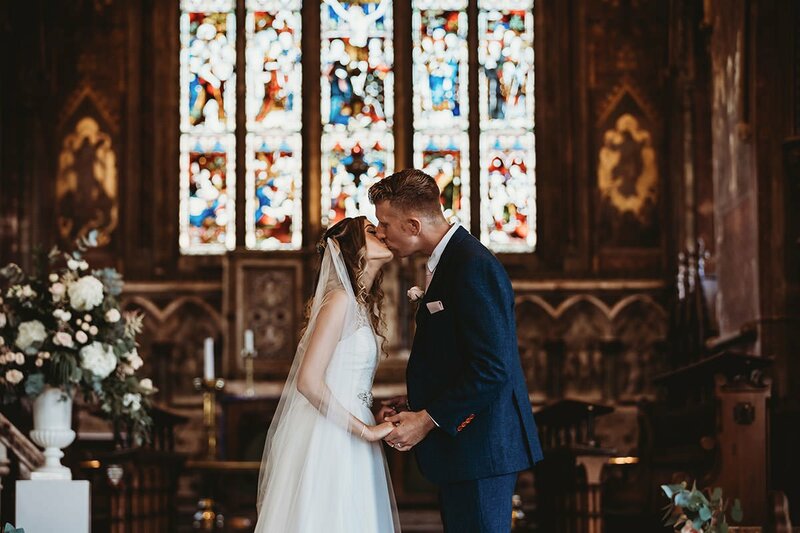 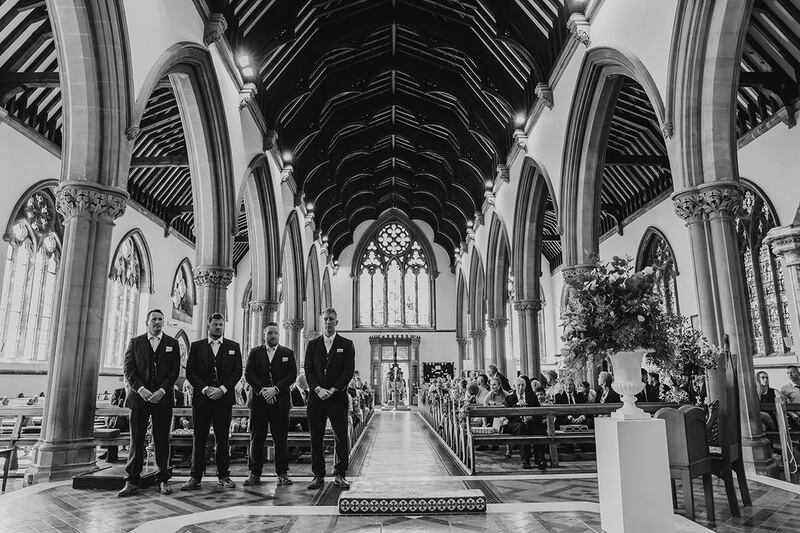 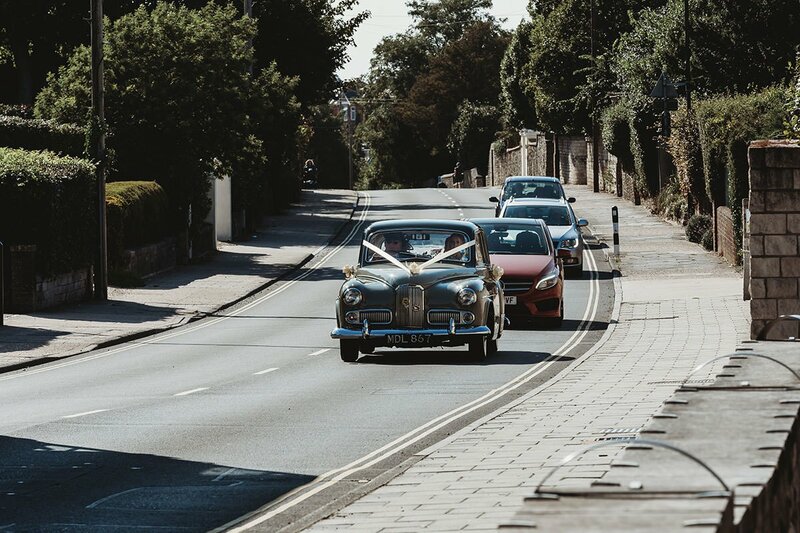 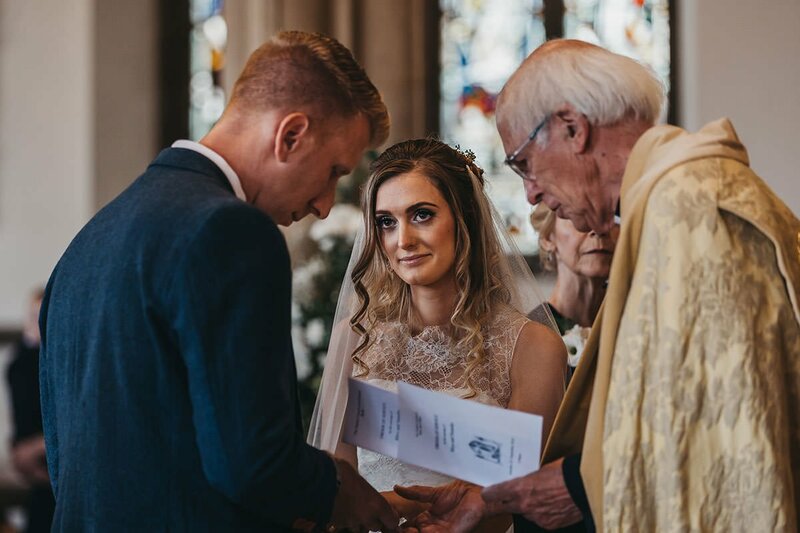 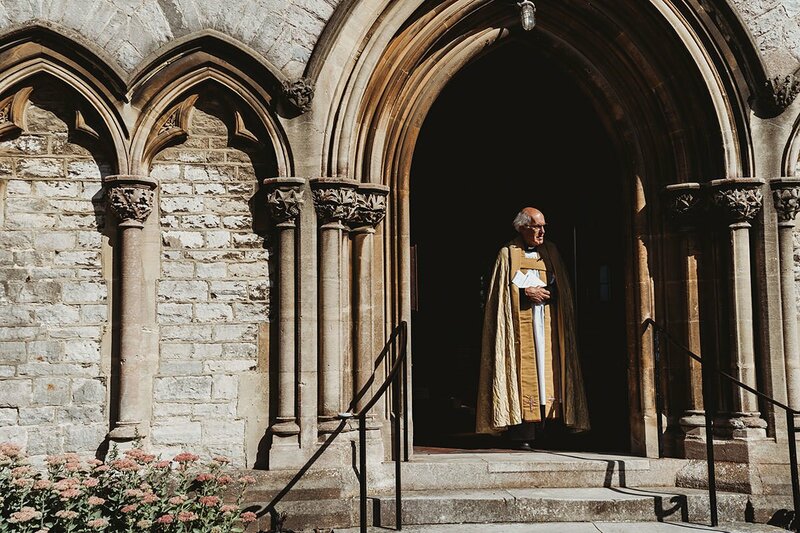 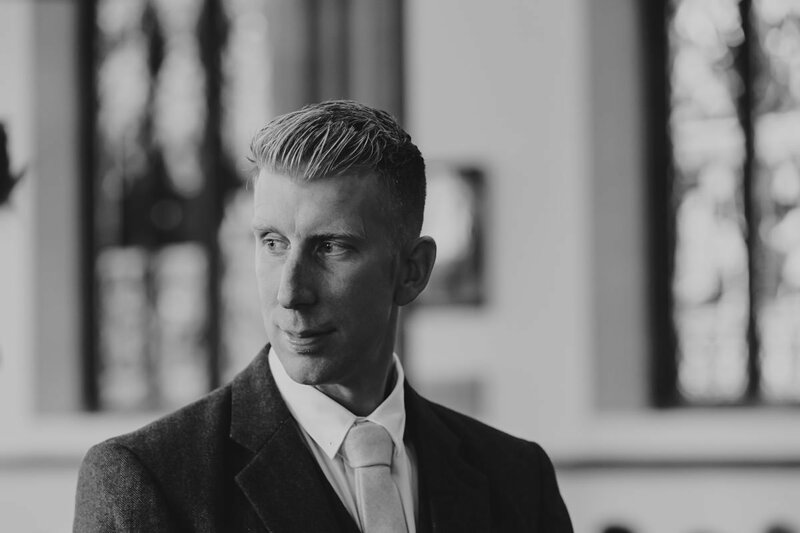 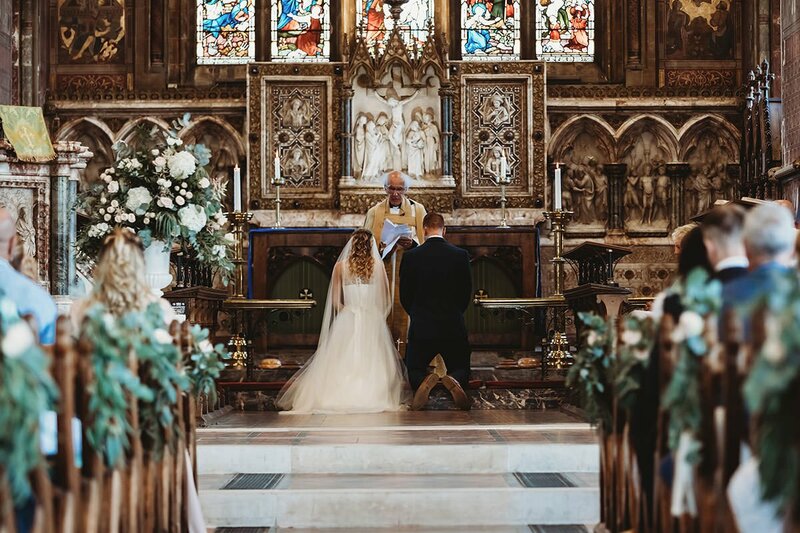 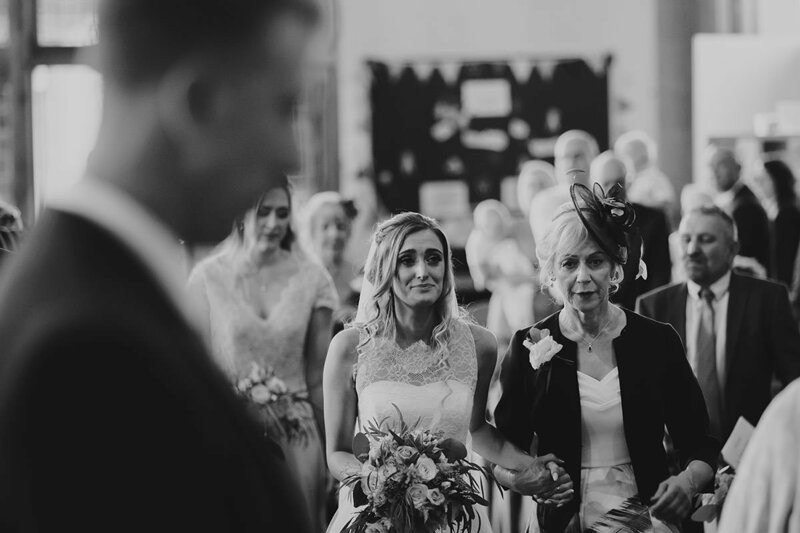 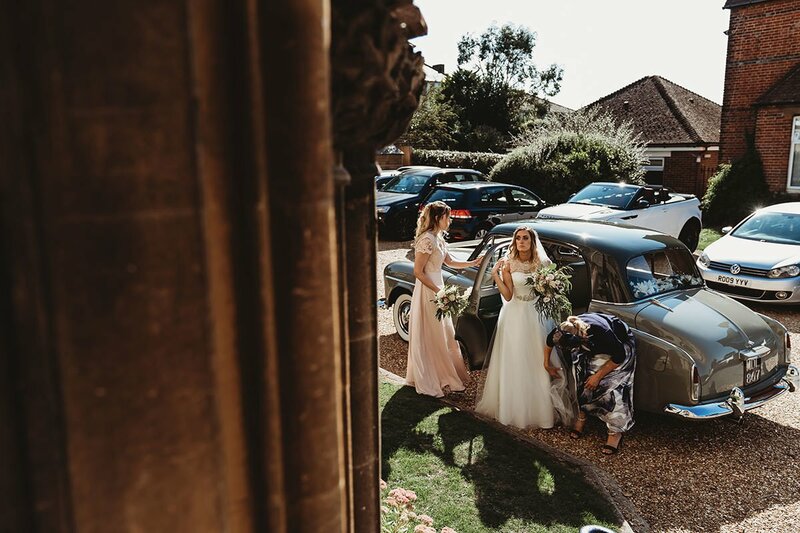 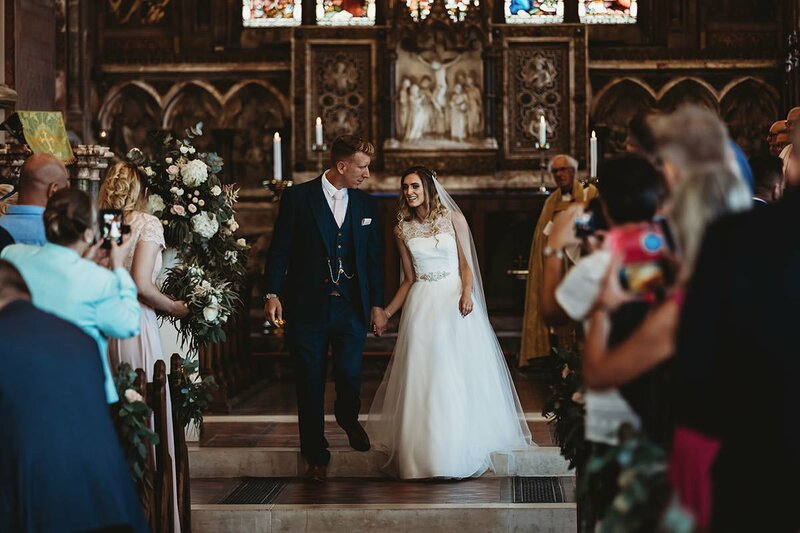 A beautifully intimate church wedding followed at the All Saints Church in Ryde. 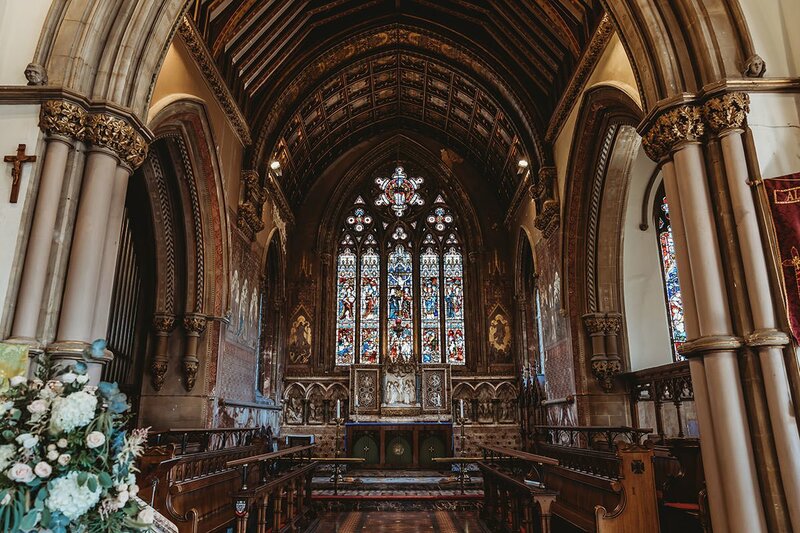 A magnificent landmark church, sometimes referred to as the “cathedral” of the Island. 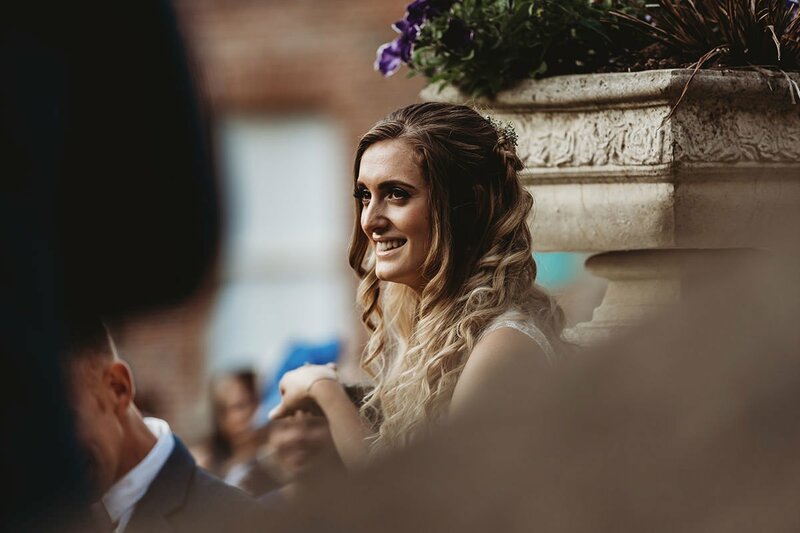 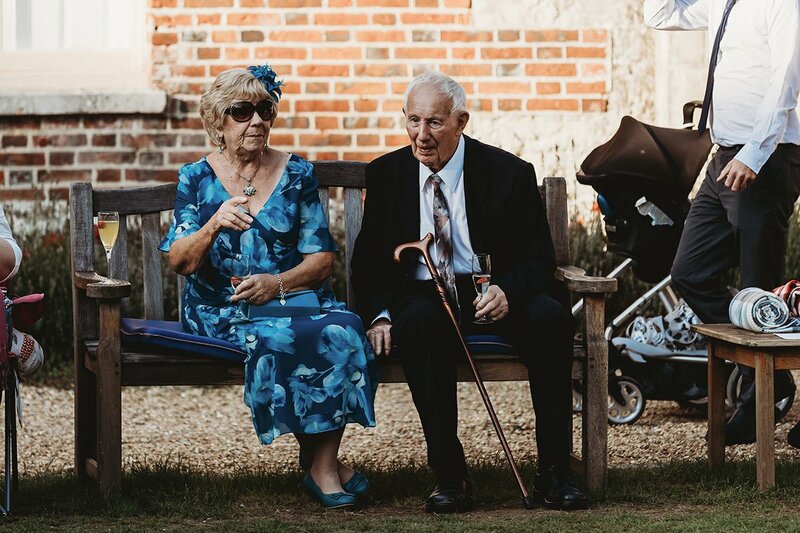 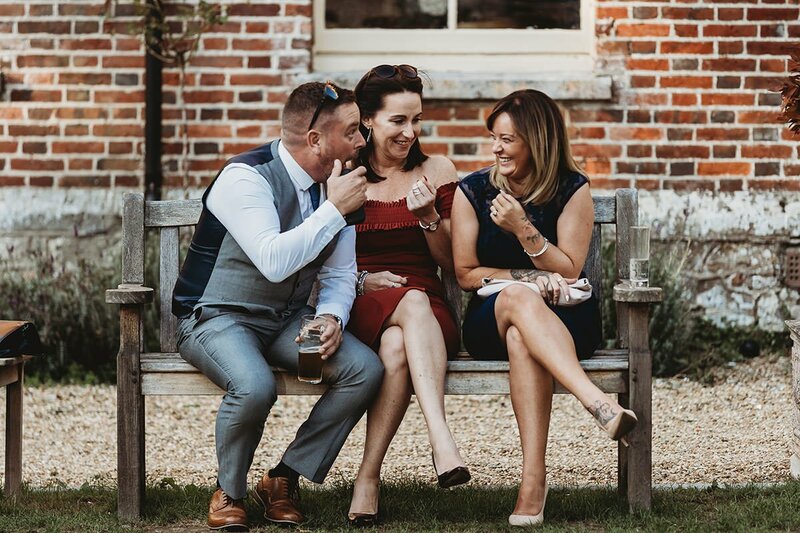 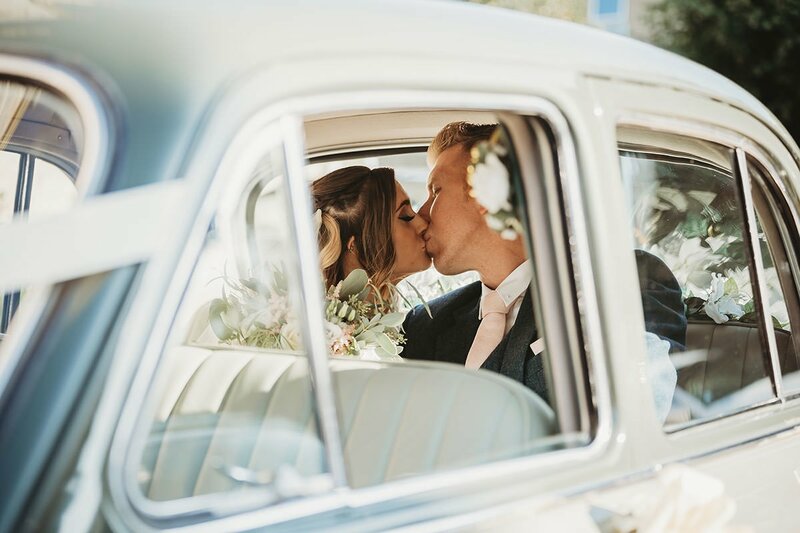 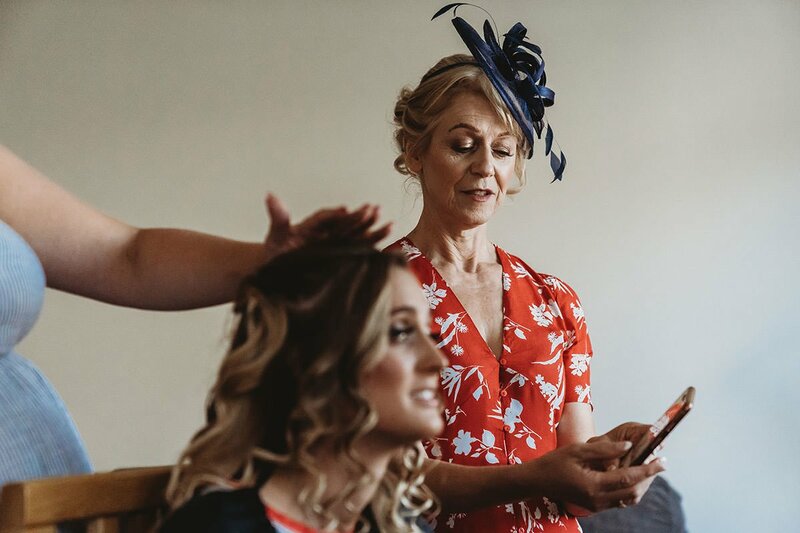 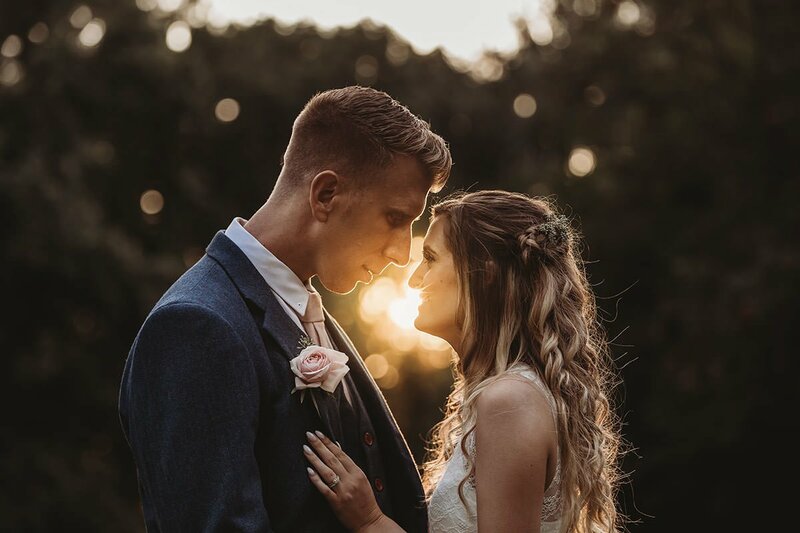 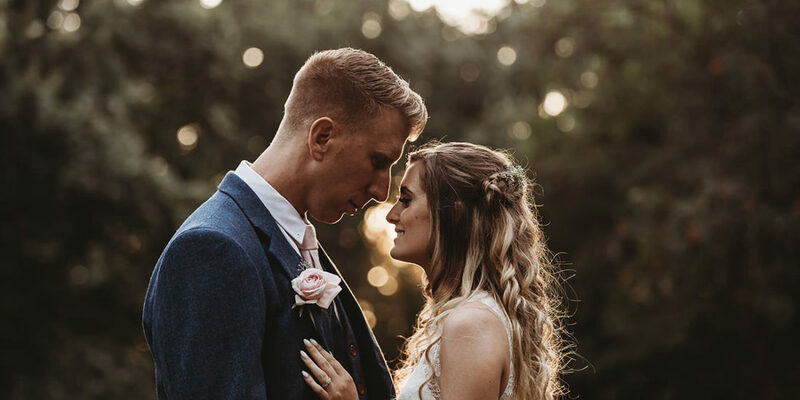 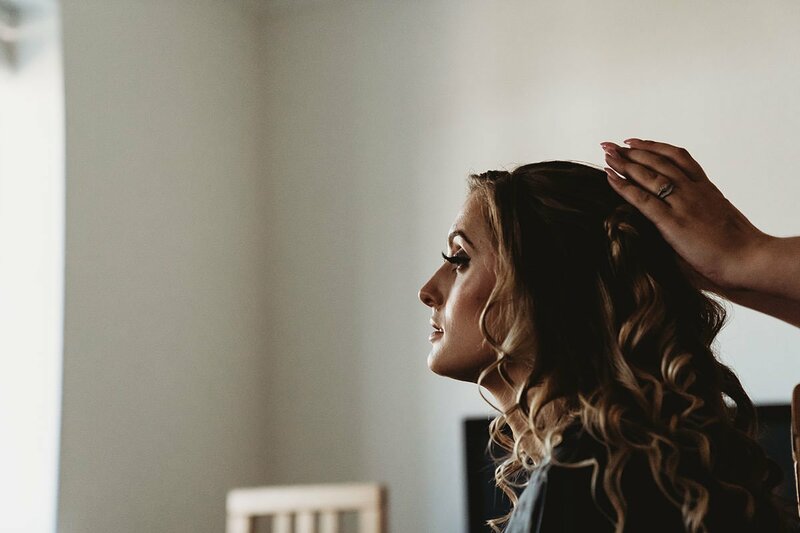 Summer weddings are a lot more flexible with timings due to the extended hours of light and we used this our advantage with a relaxed couple session as we arrived at the brilliant Landguard manor wedding venue. 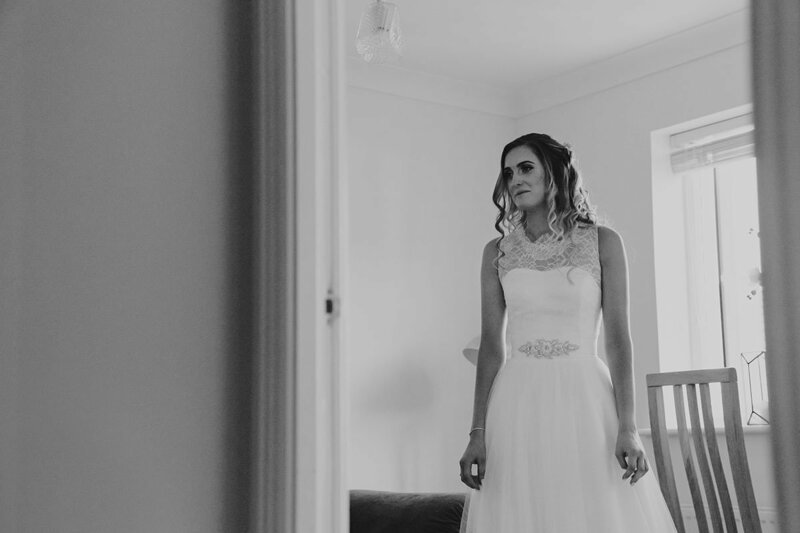 One of my favourites from the session is below. 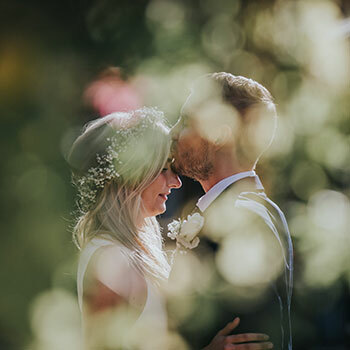 A natural, romantic portrait of Natasha and Rhys as they shared a moment together with the sun peaking through. 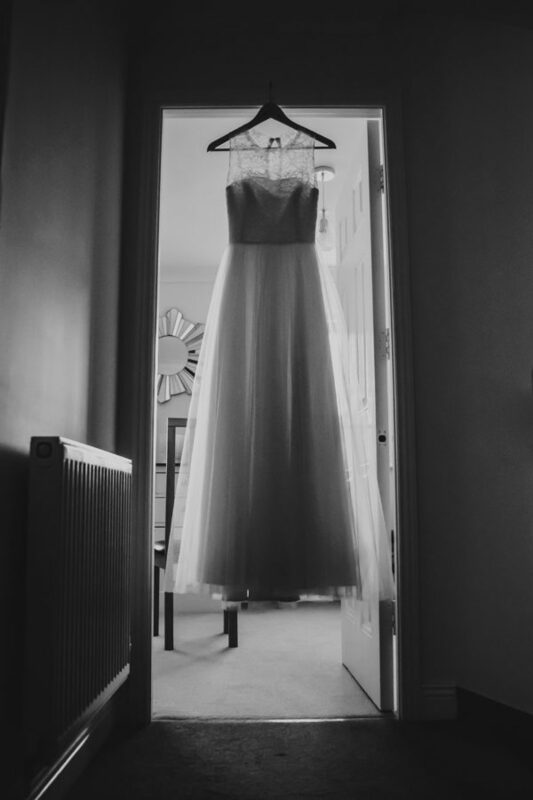 A combination of luck and being in the right place at the right time. 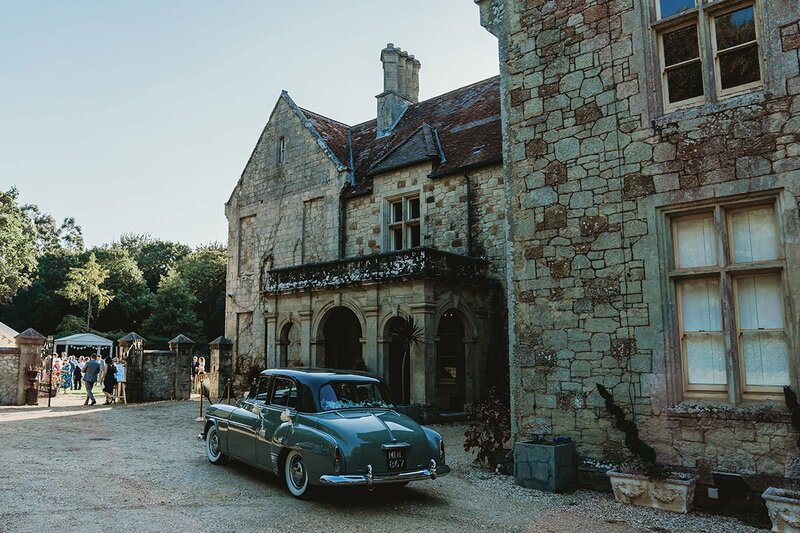 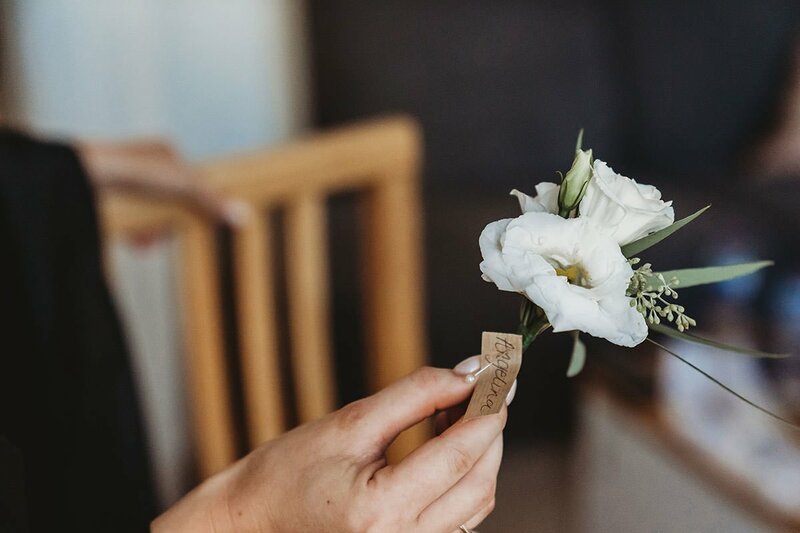 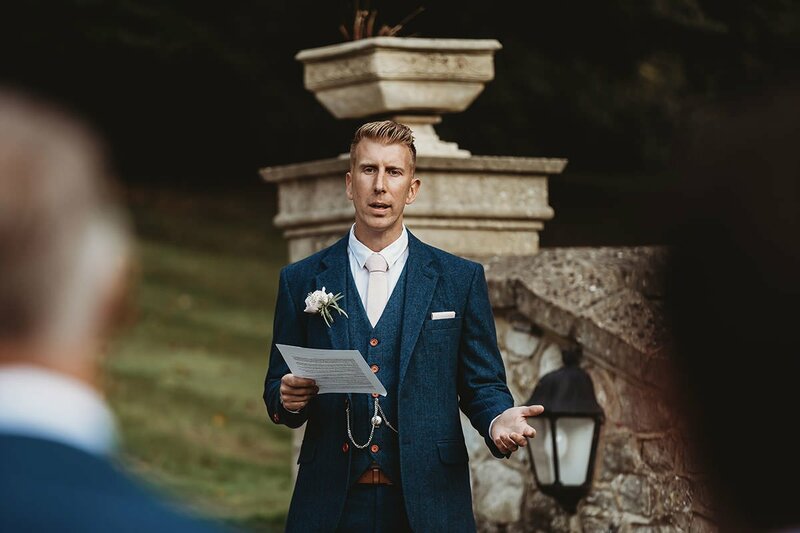 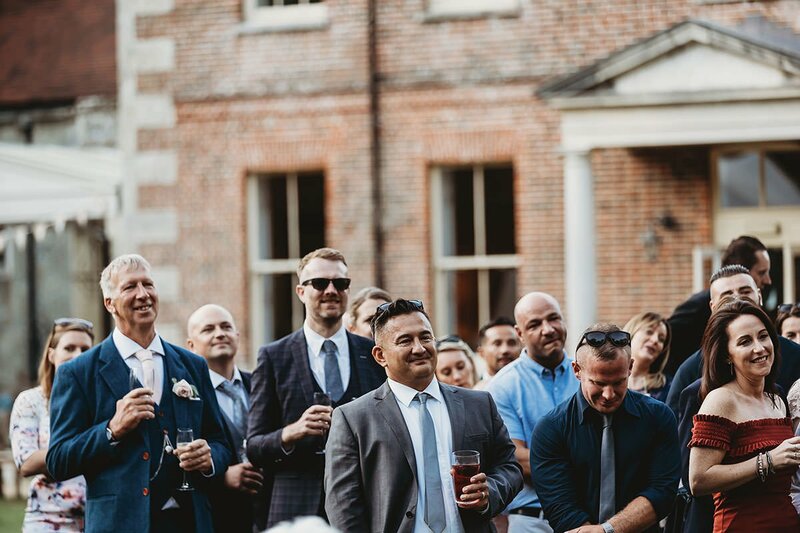 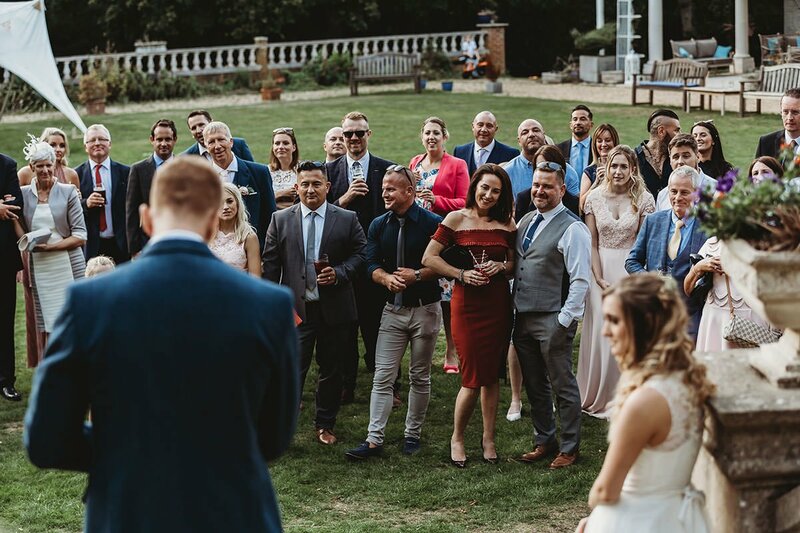 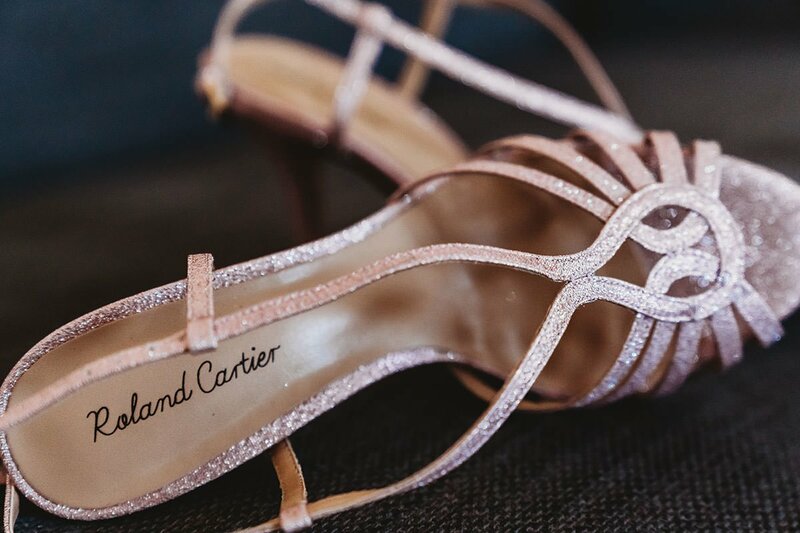 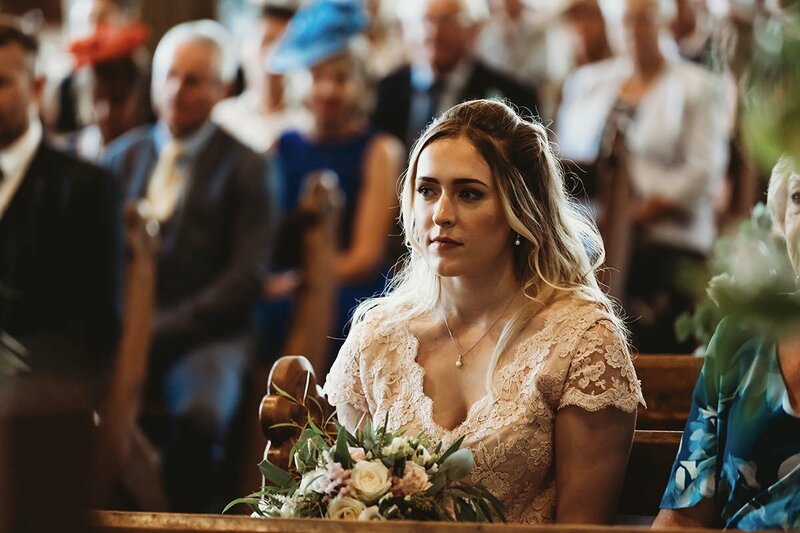 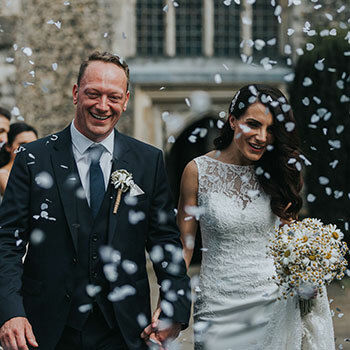 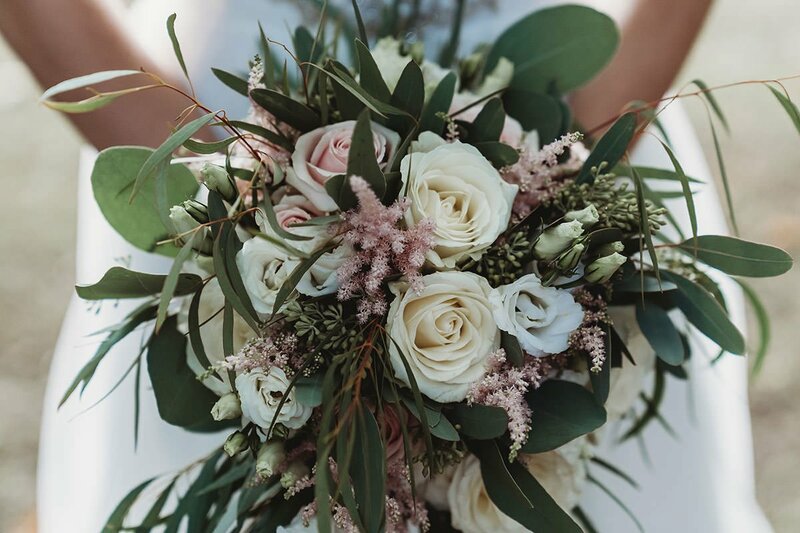 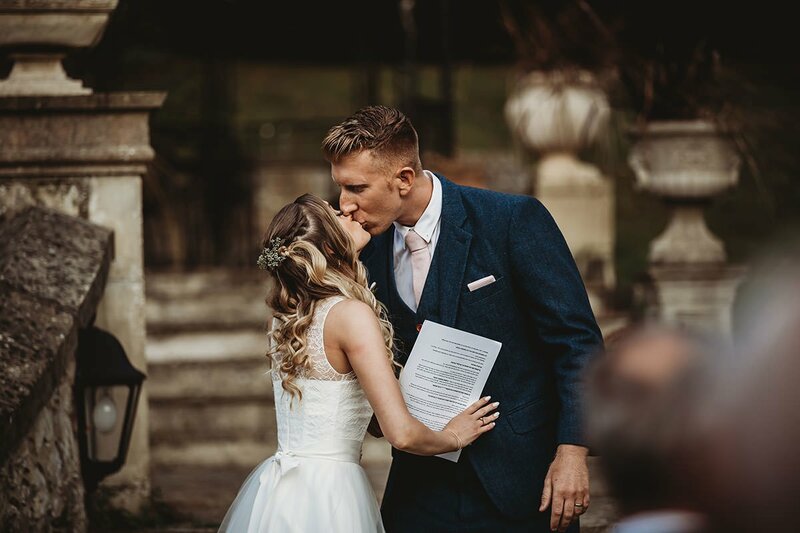 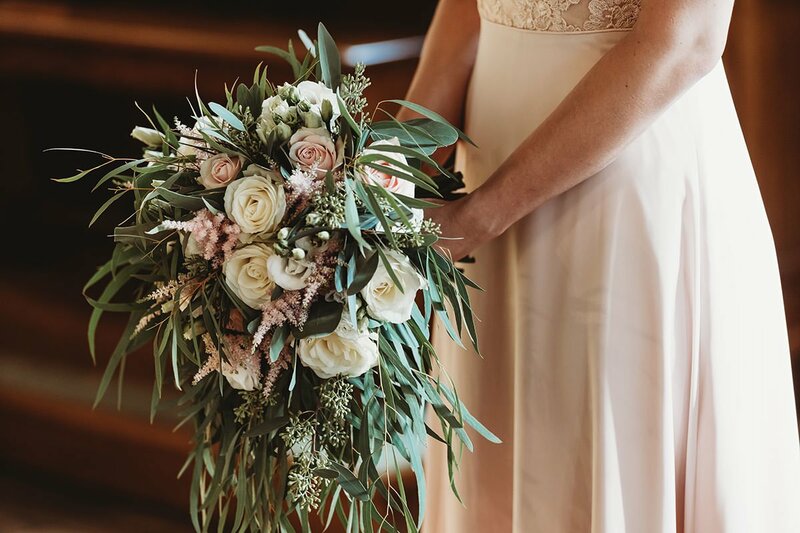 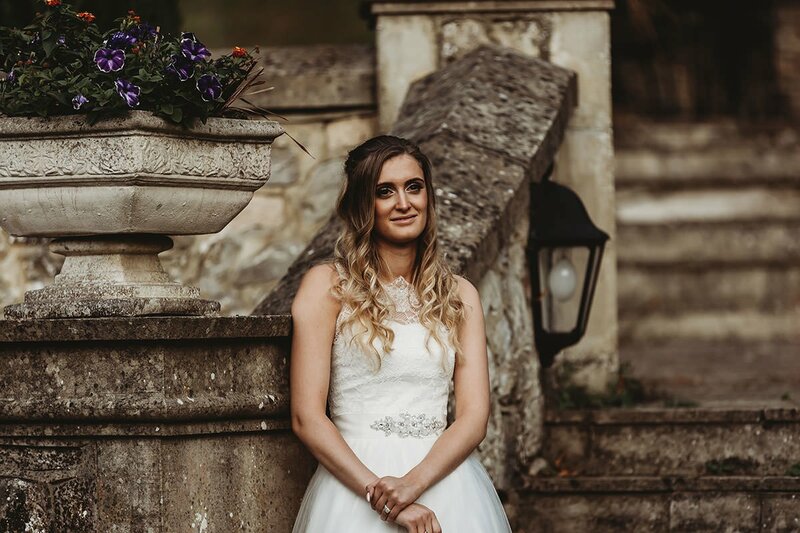 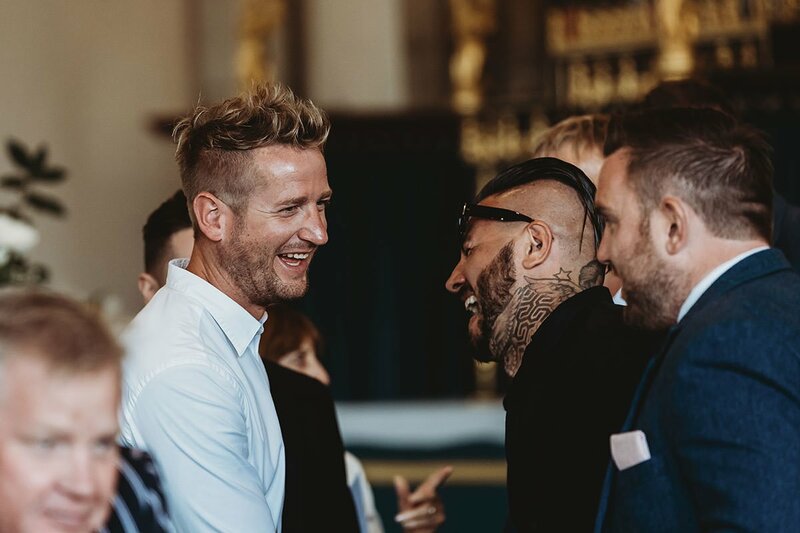 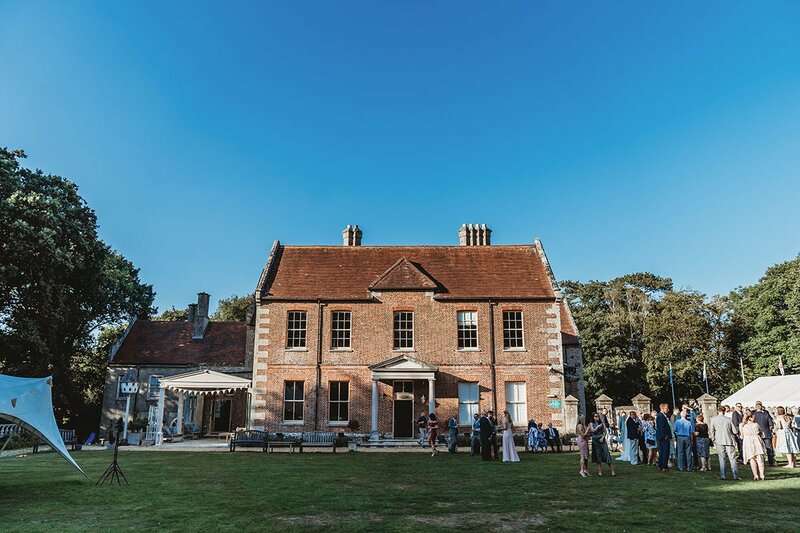 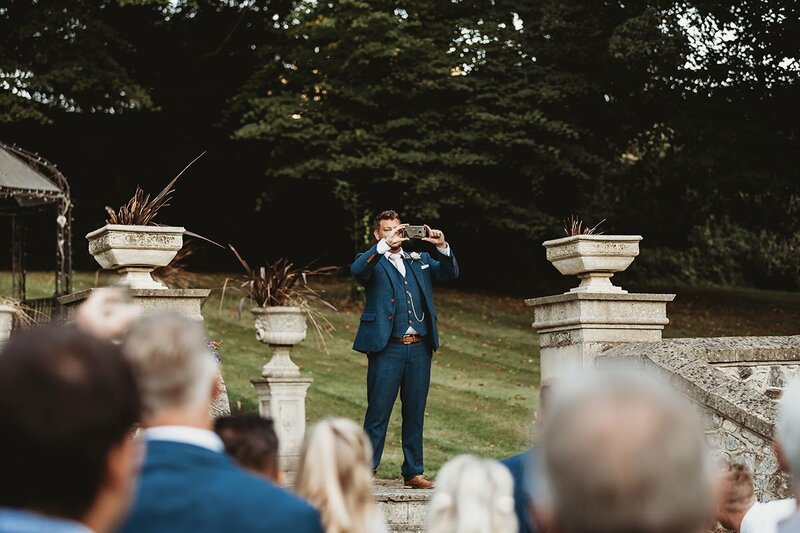 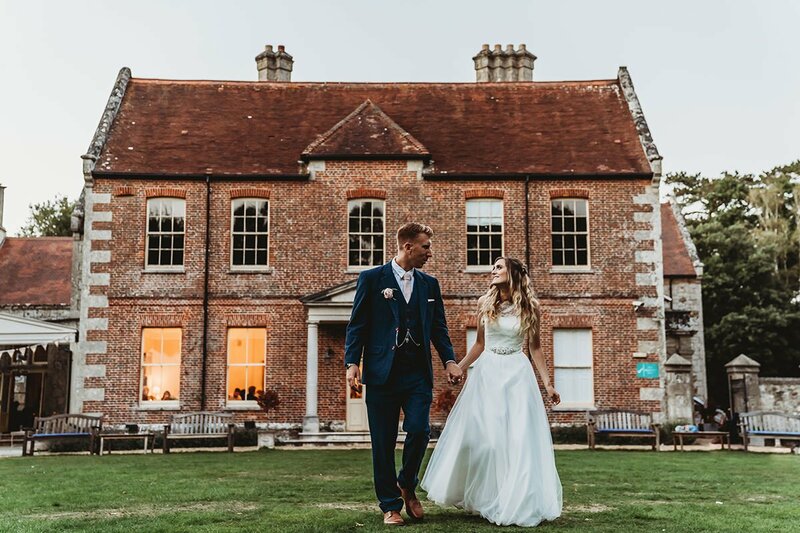 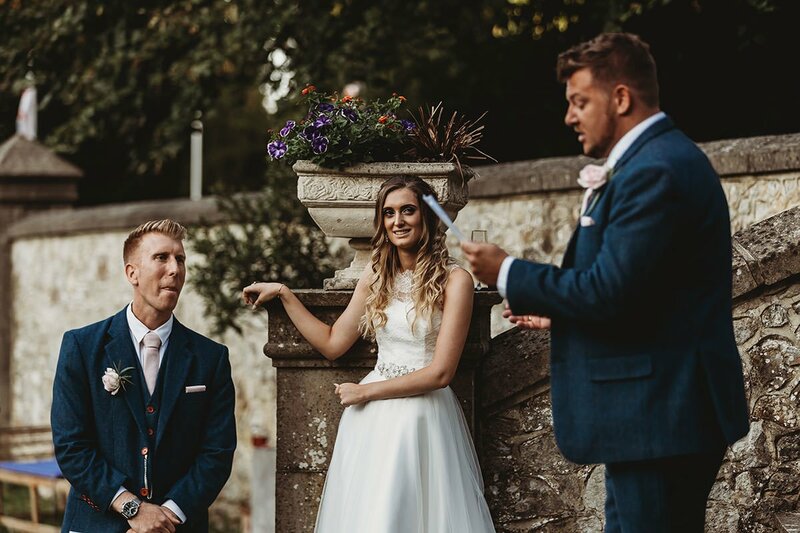 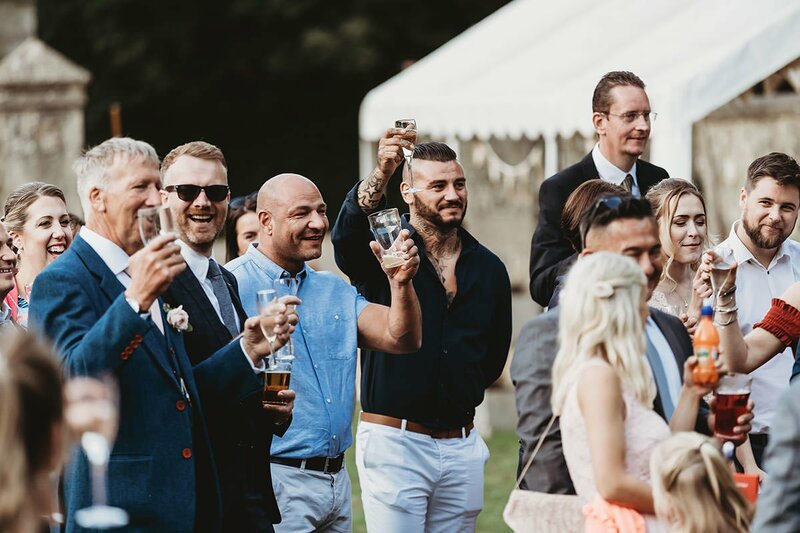 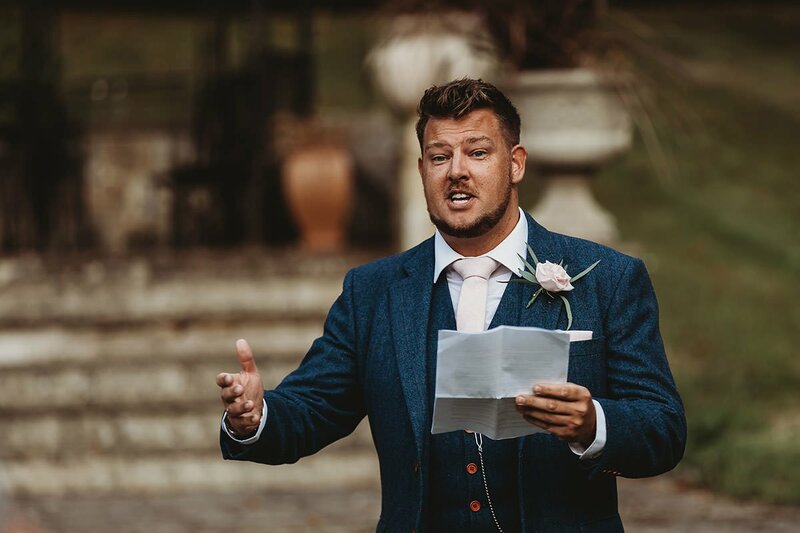 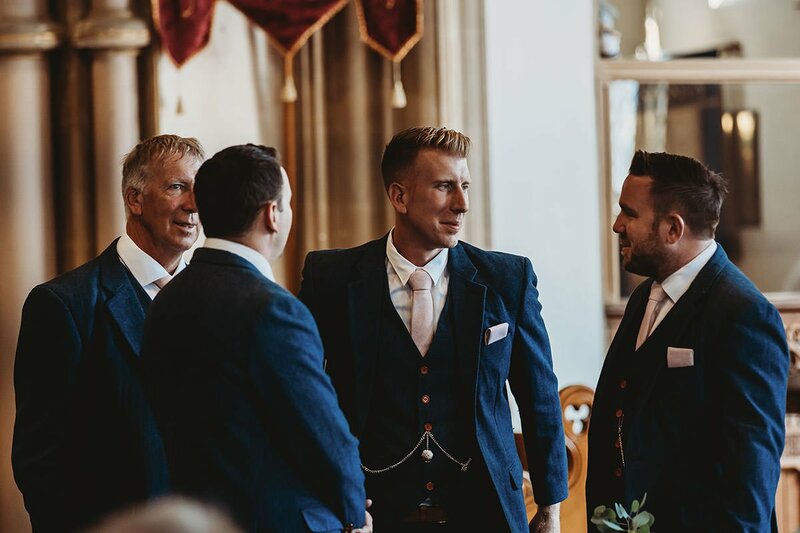 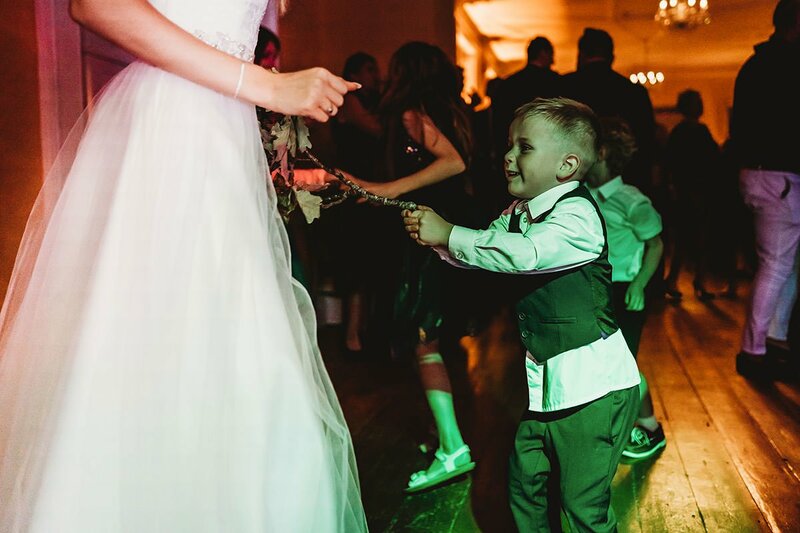 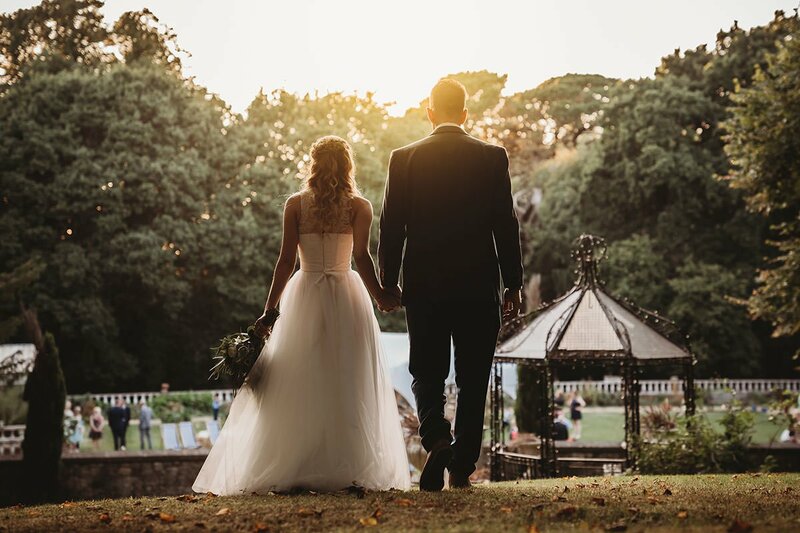 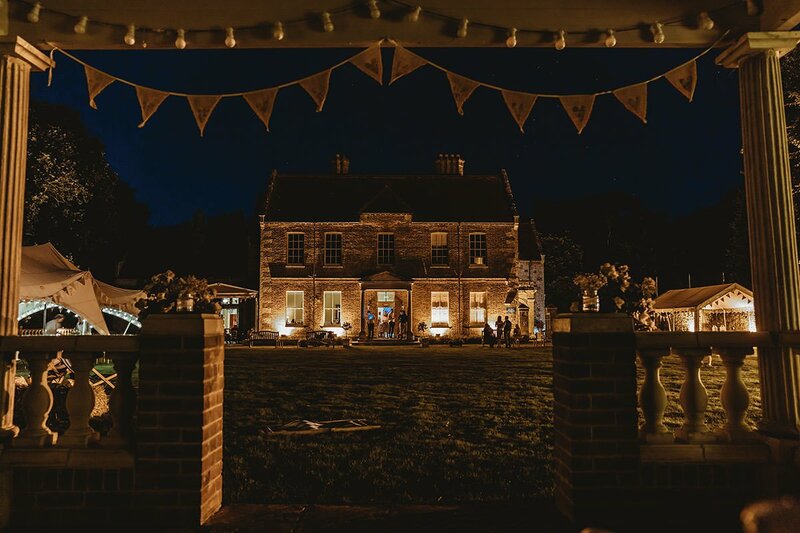 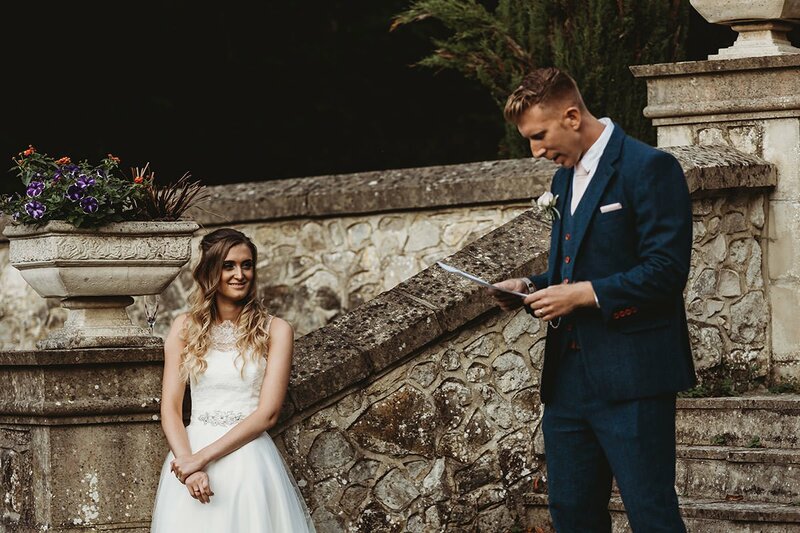 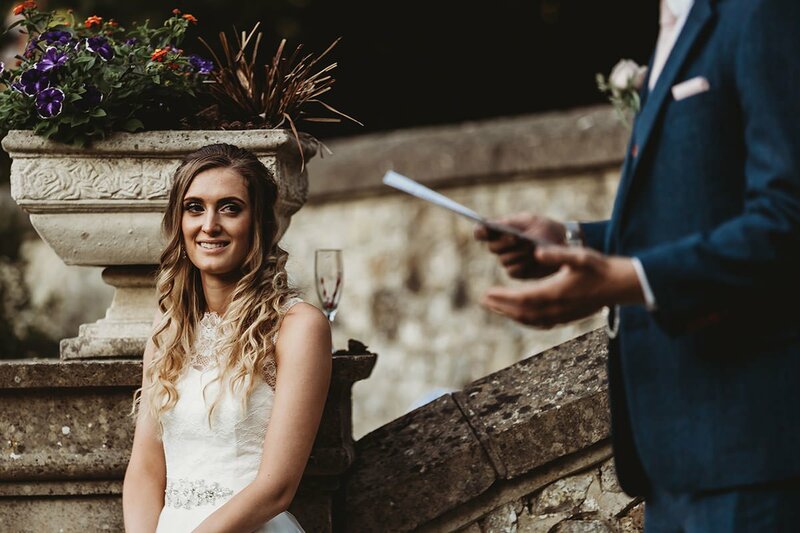 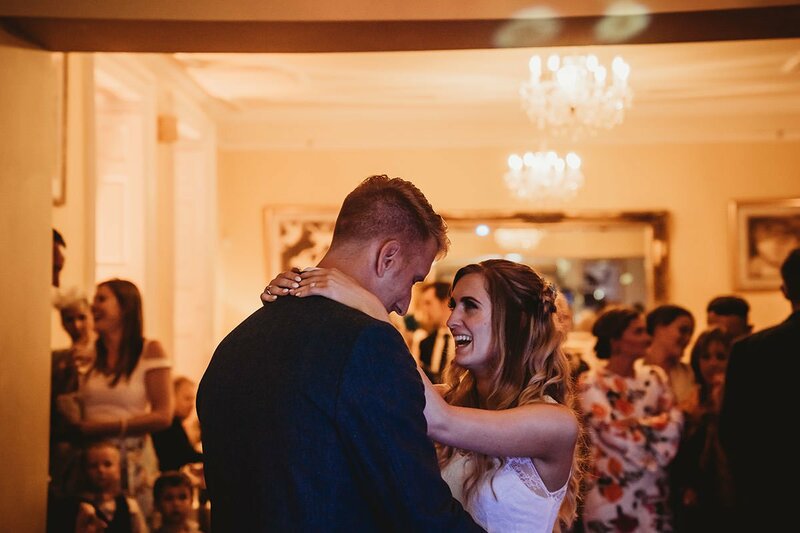 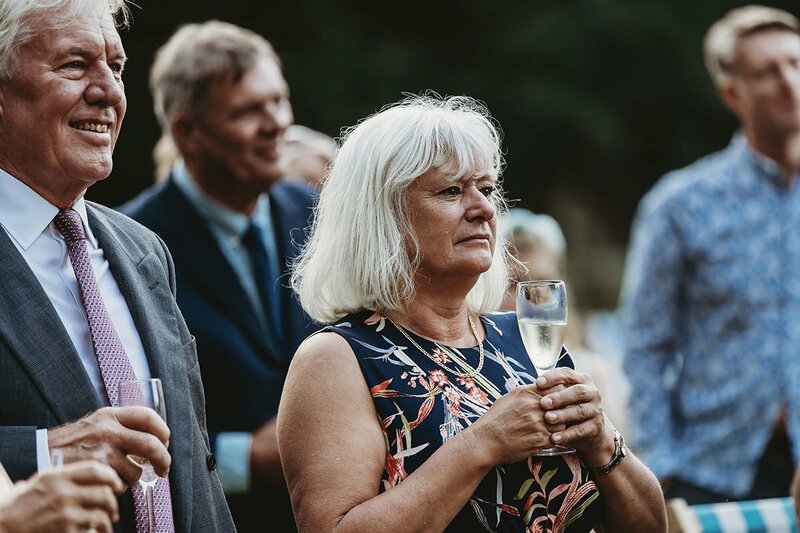 Landguard Manor is located in a 4.5 acres area of quiet and tranquil surroundings, making the ideal venue for a wedding in the Isle of Wight region, all enhanced by superb facilities, outstanding services and delicious food that will impress you and your guests. 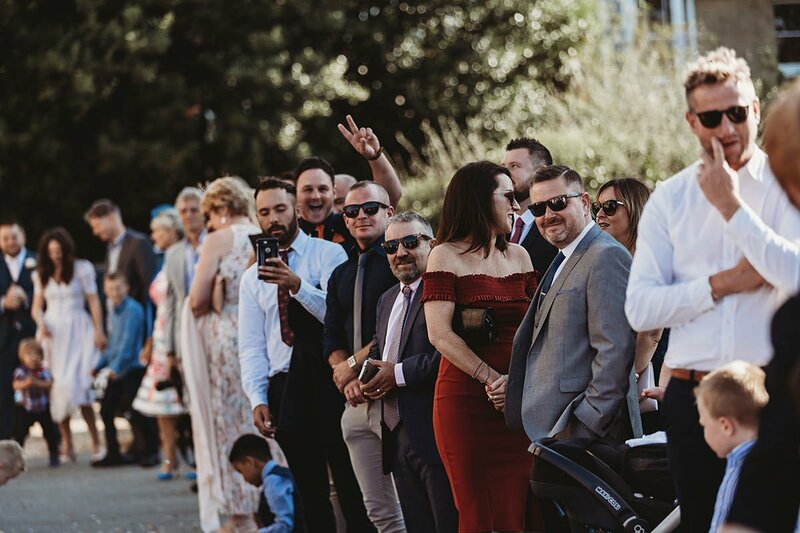 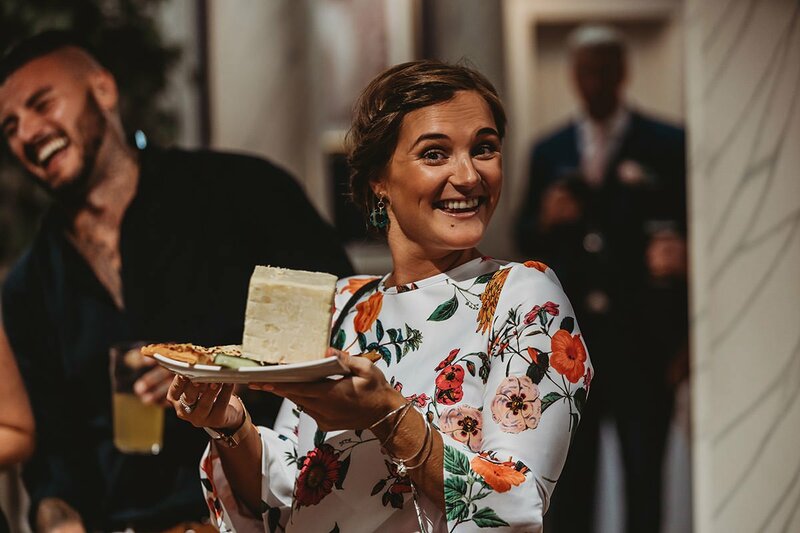 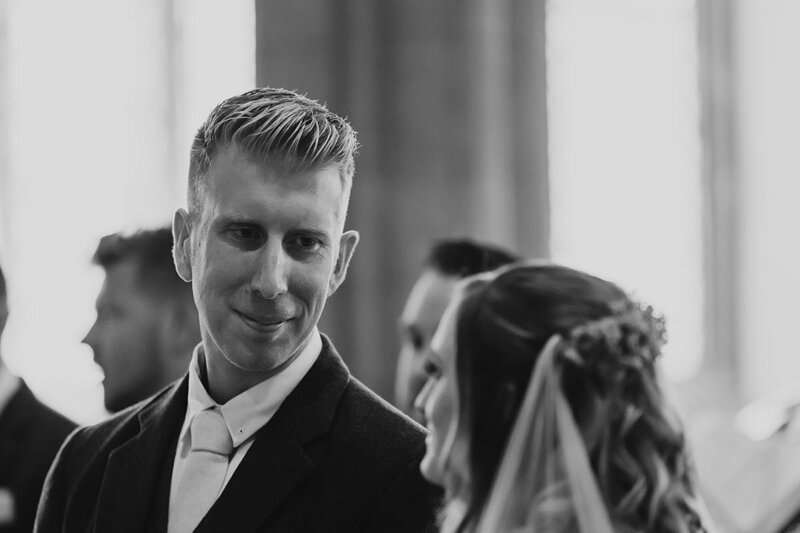 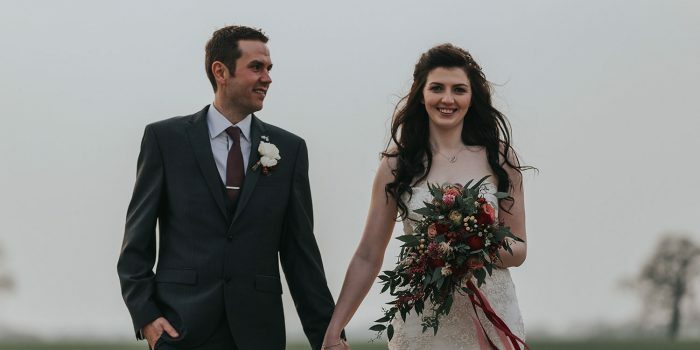 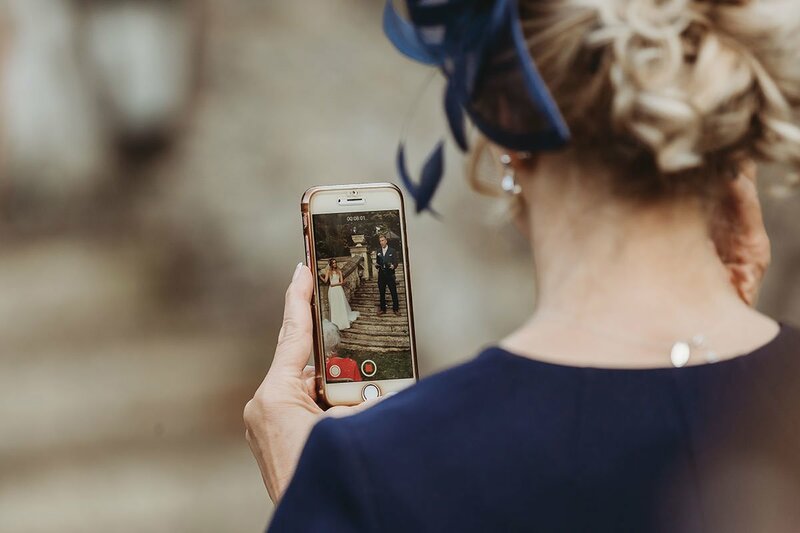 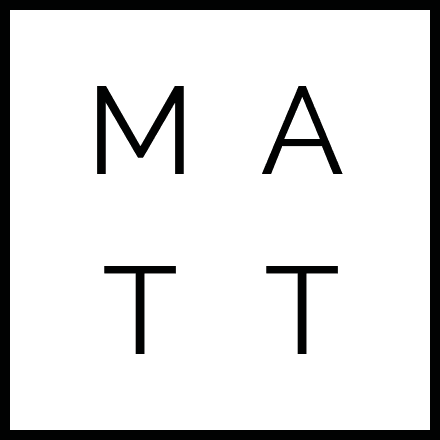 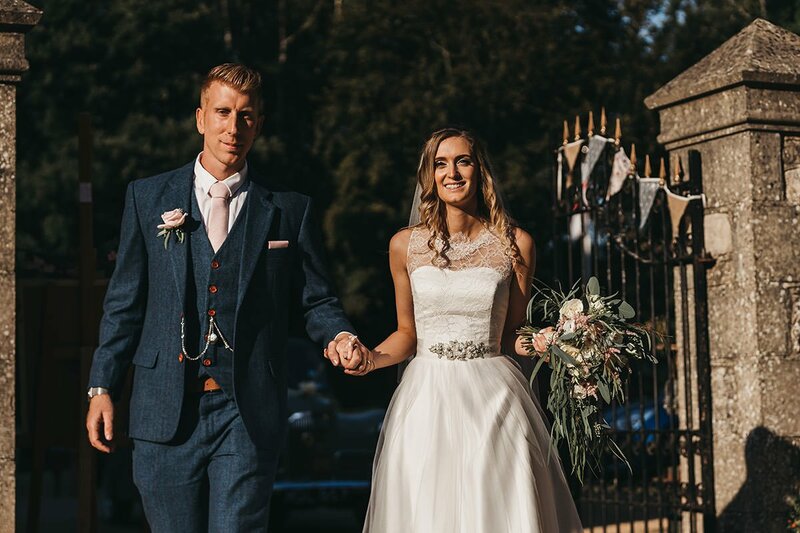 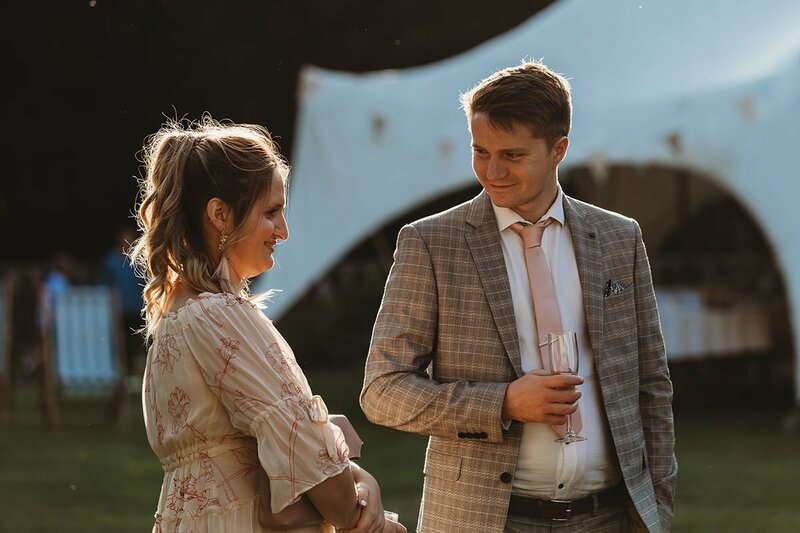 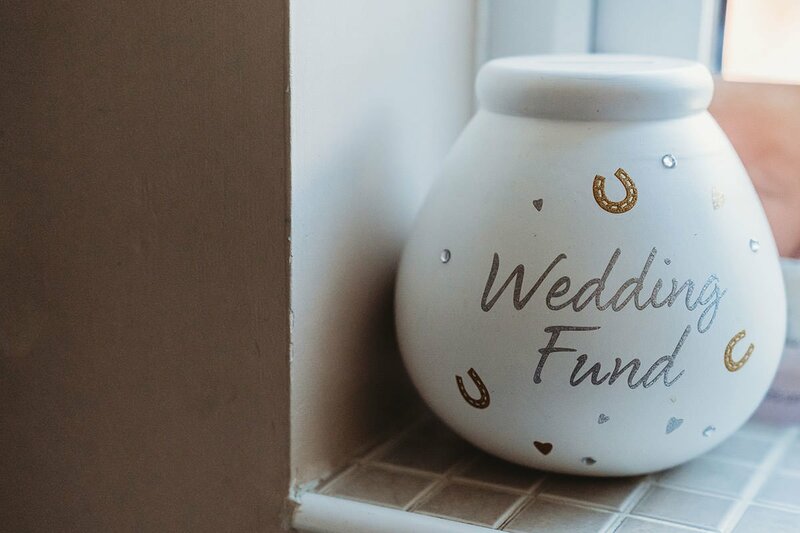 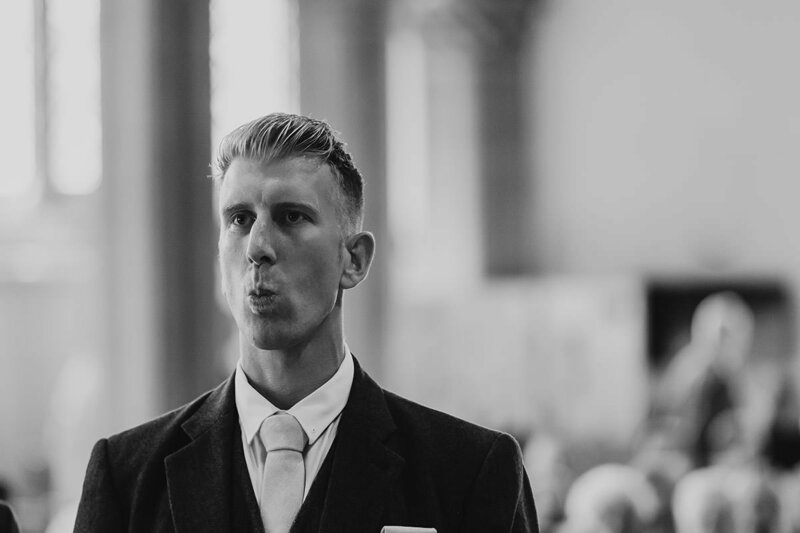 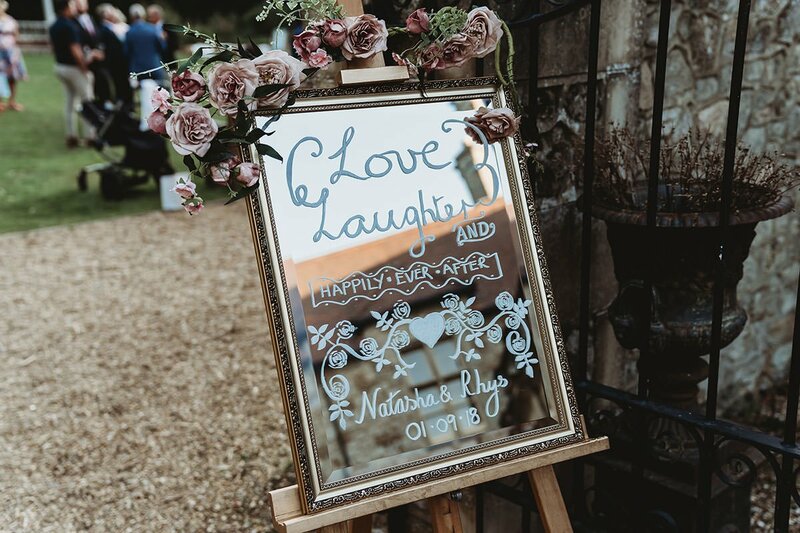 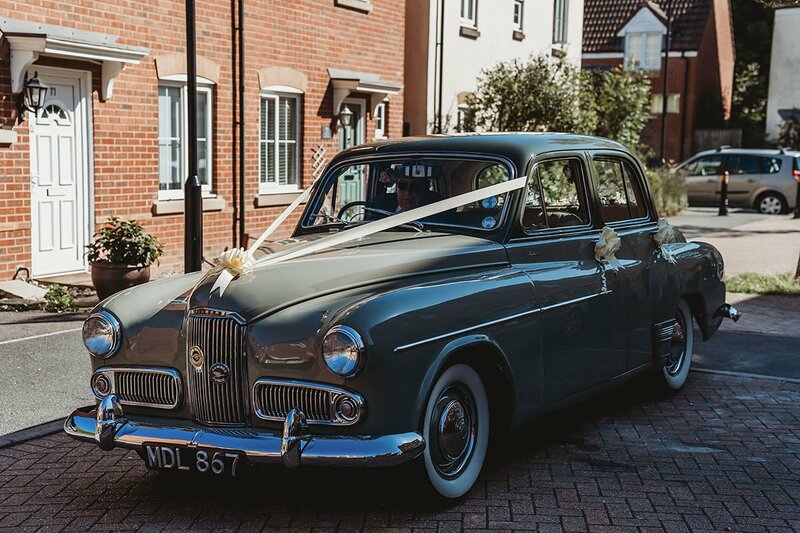 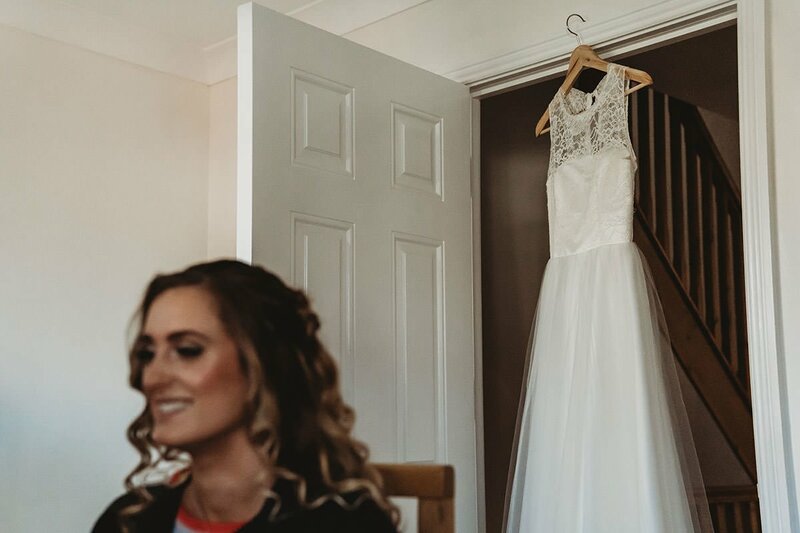 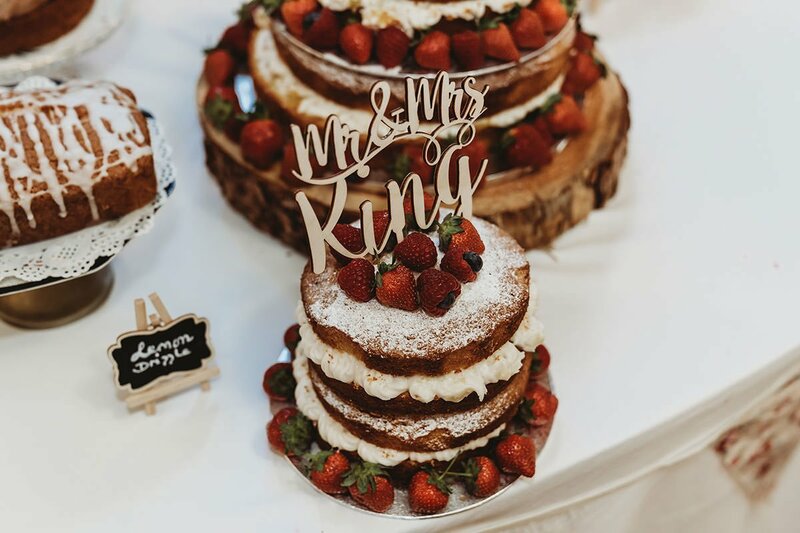 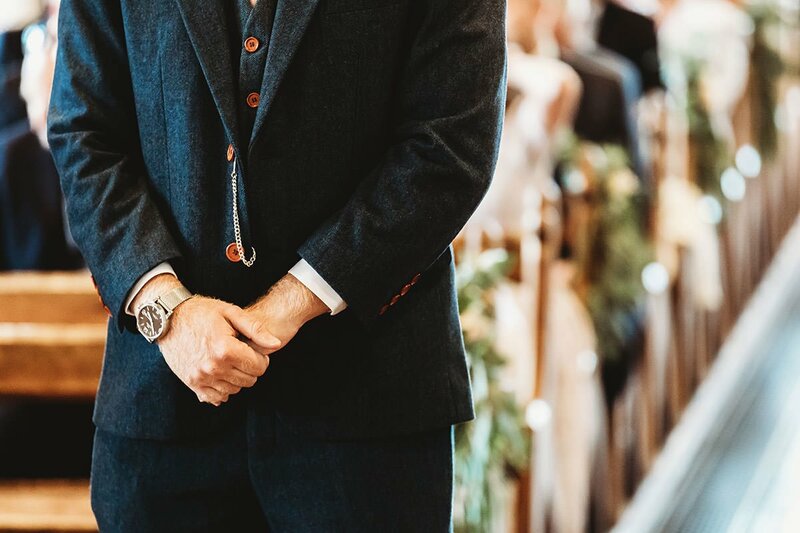 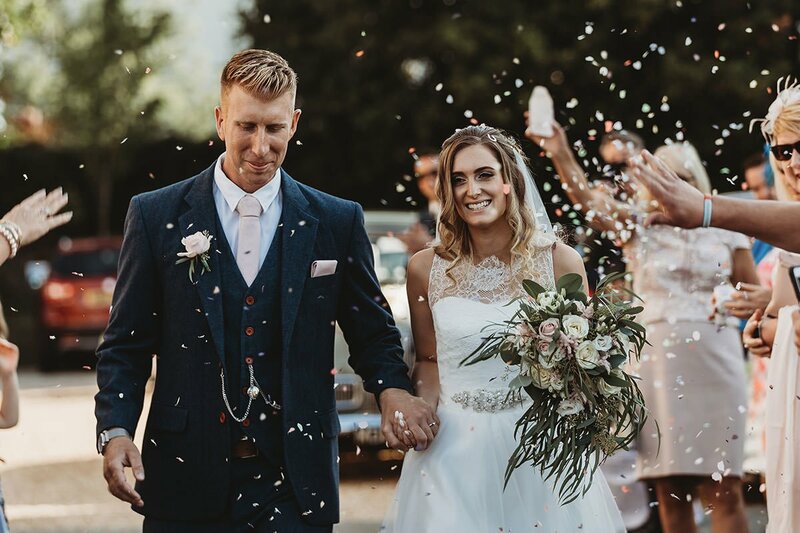 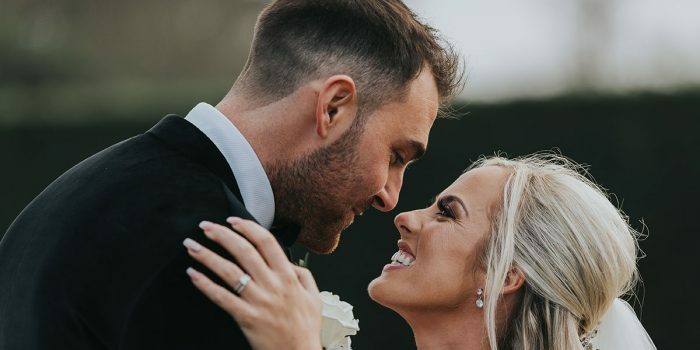 Natasha & Rhys decided against a more ‘formal’ wedding reception with a sit down meal and table plan, and instead opted for a buffet style meal. 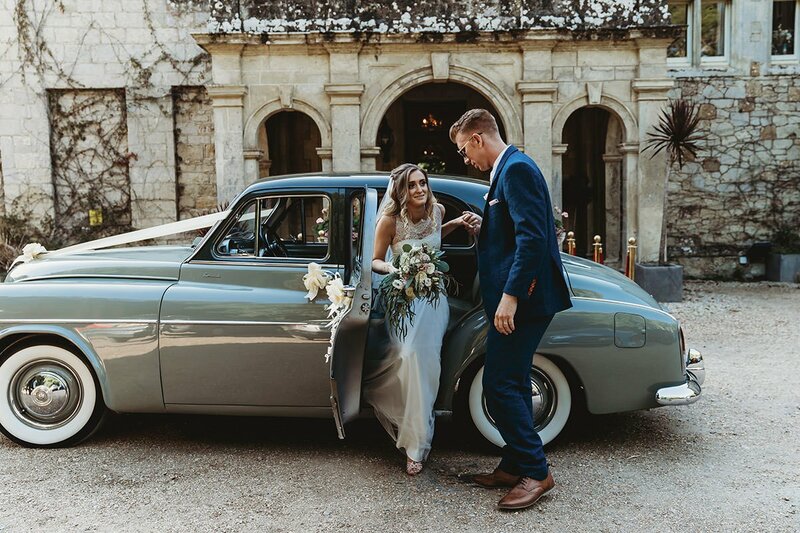 I must say this was a lovely alternative and fit with the couples vision and feel of the day. 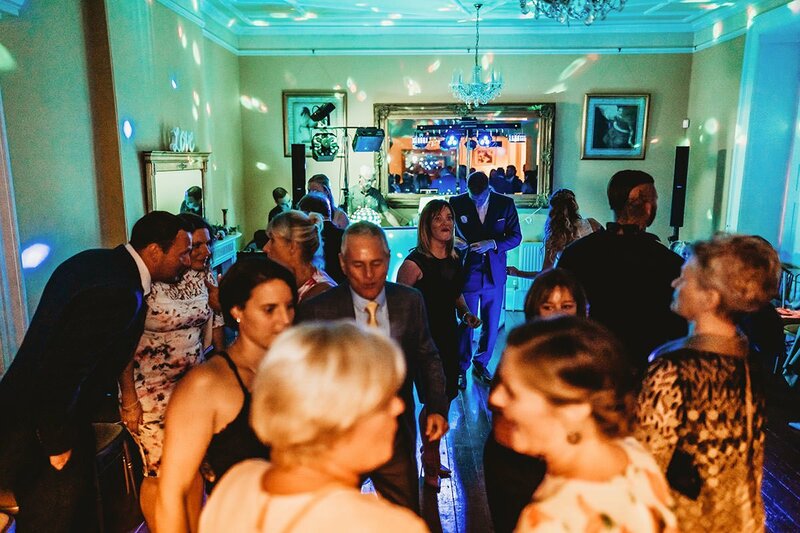 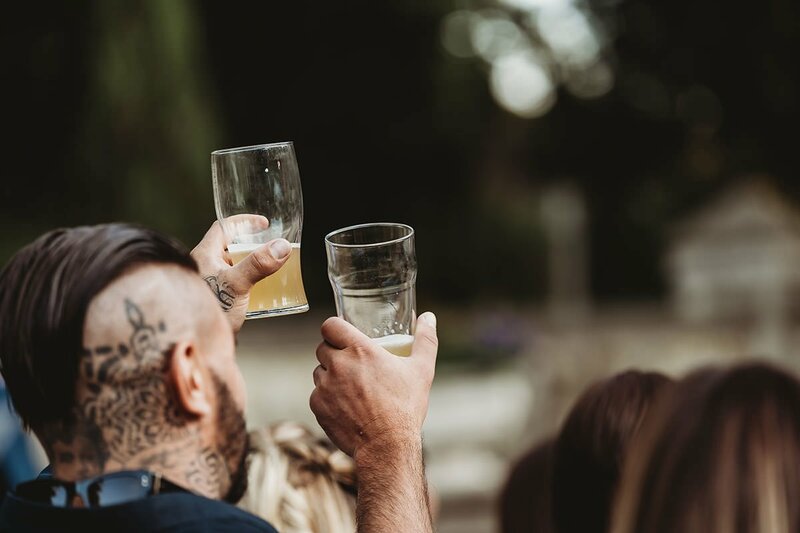 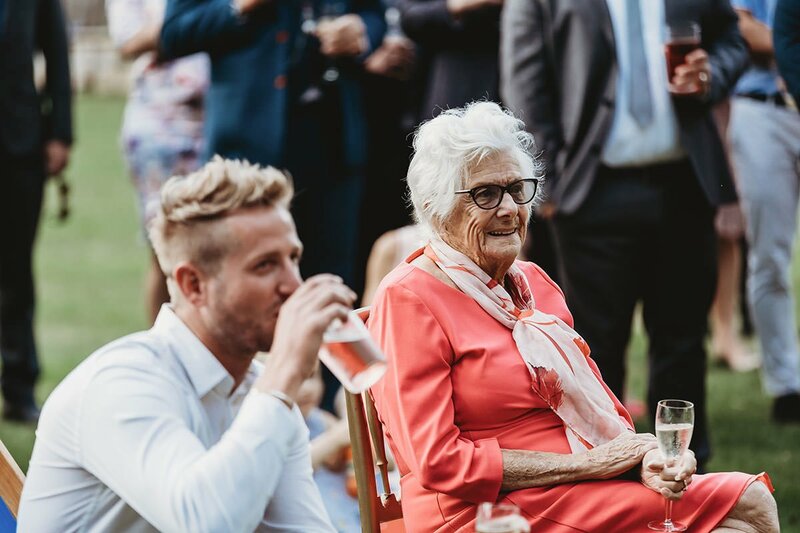 The wedding festivities continued in the warm September evening with everyone enjoying the entertainment and drinks late into the night. 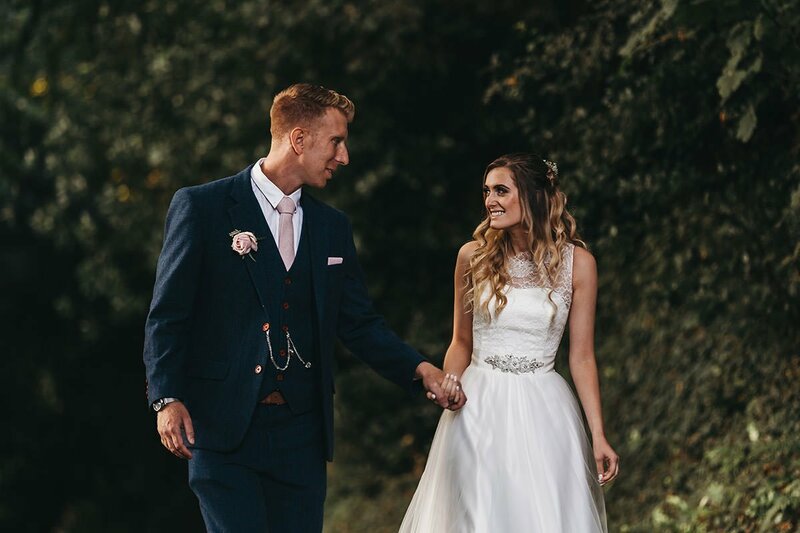 I would like to wish Natasha and Rhys all the very best in the future. 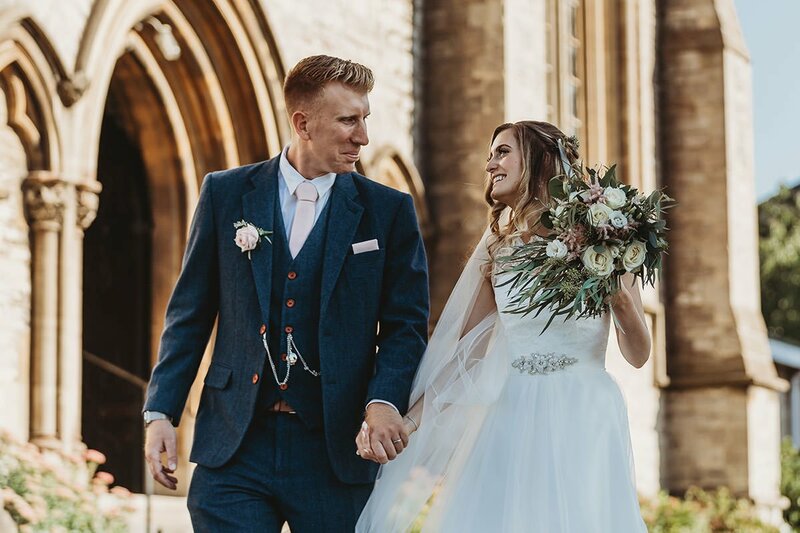 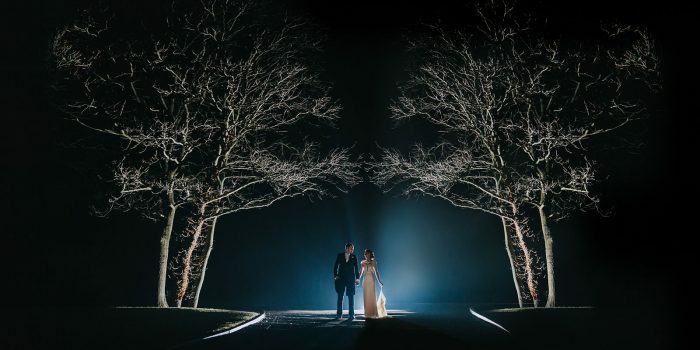 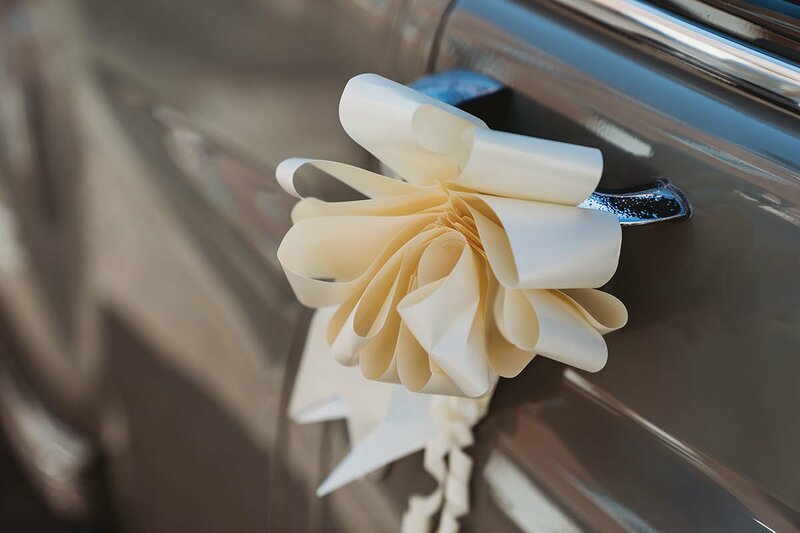 There were a few serious obstacles to overcome in the build up to the wedding involving the dress and church but Natasha and Rhys still pulled off the wedding they dreamed of. 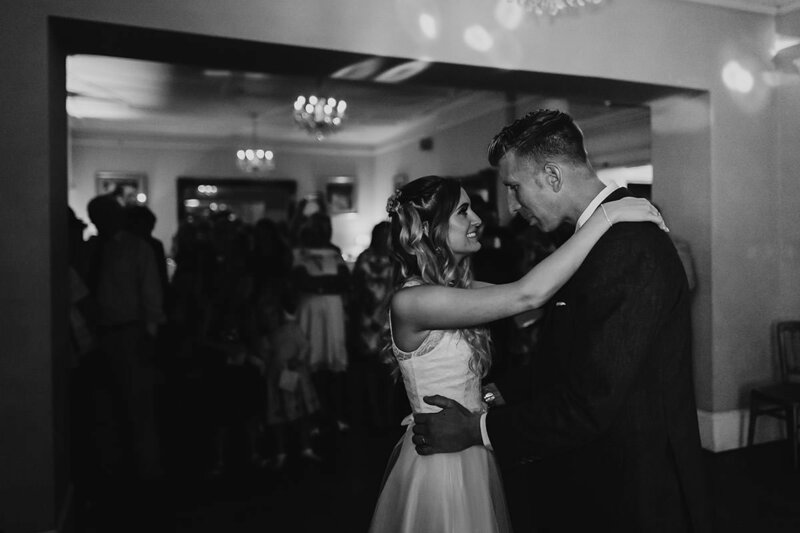 They are truly one of the nicest couples I’ve met over the last few years and deserve all the luck in the world.